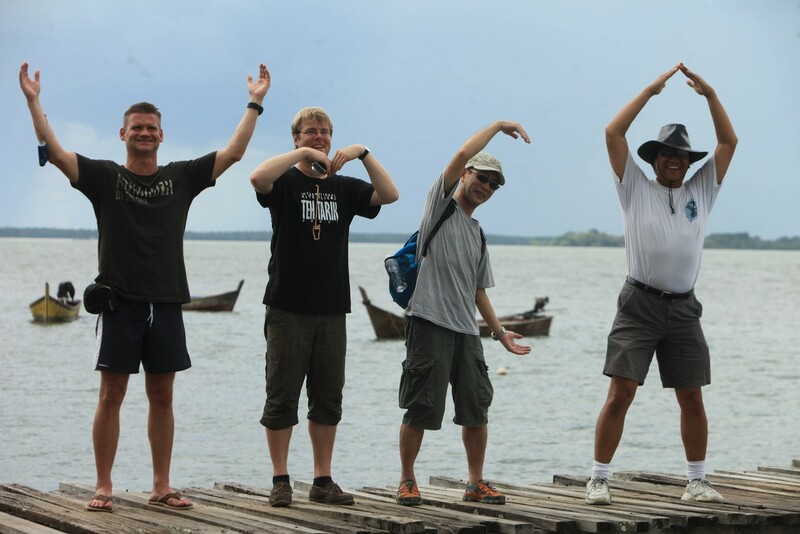 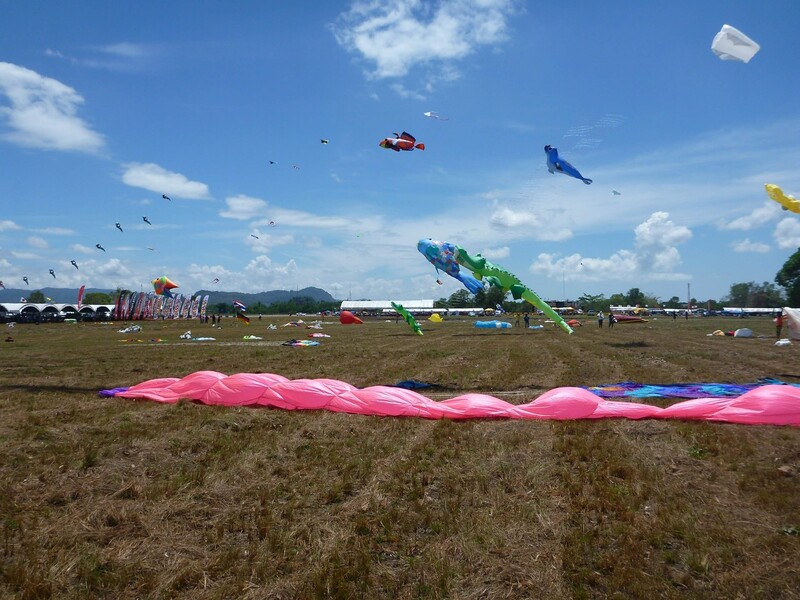 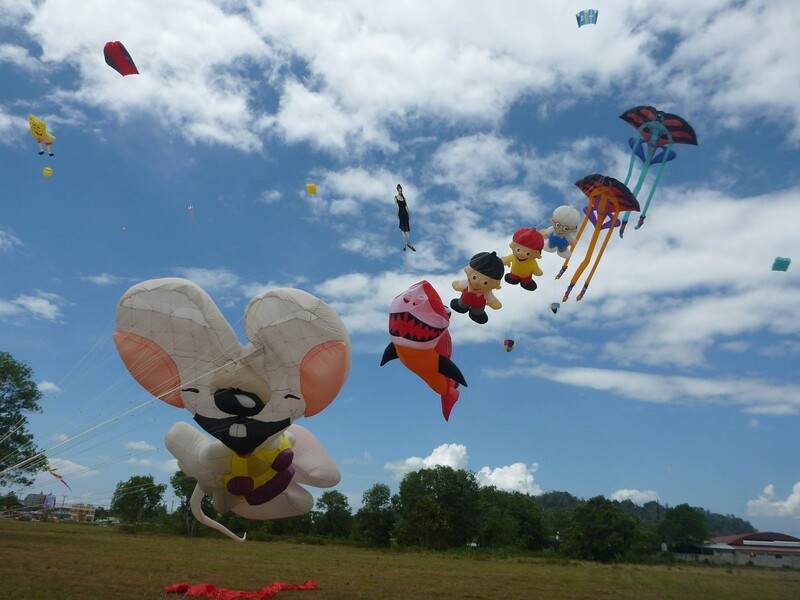 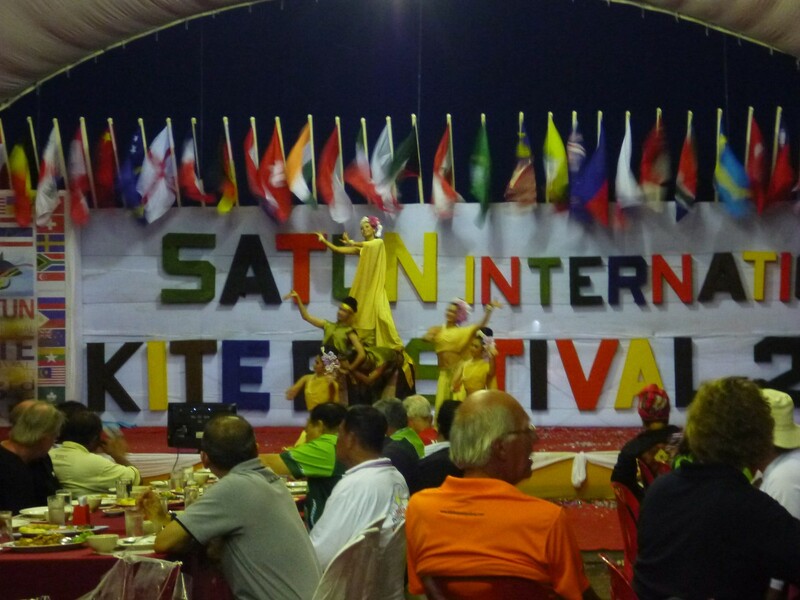 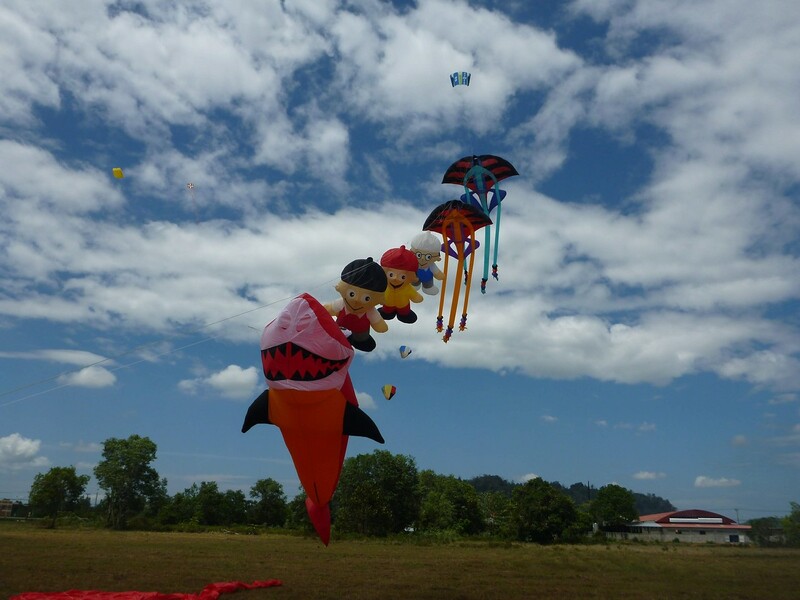 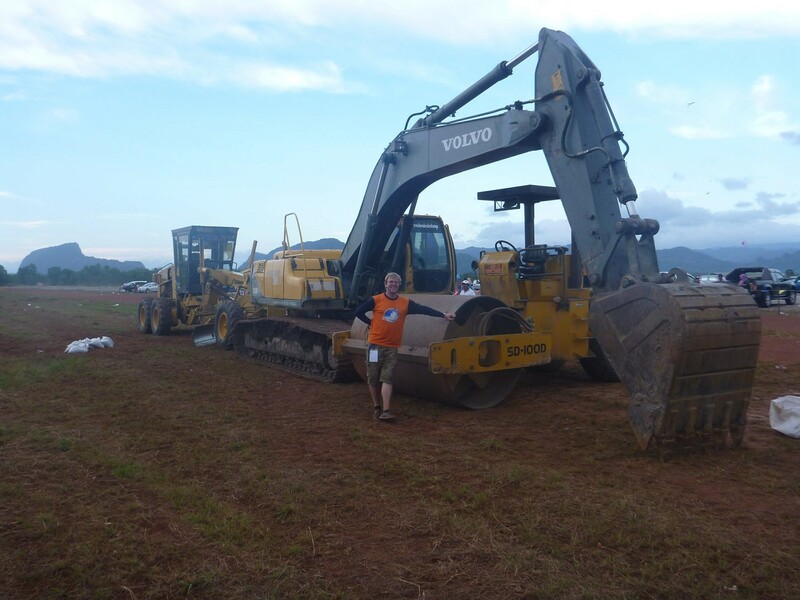 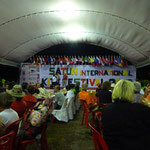 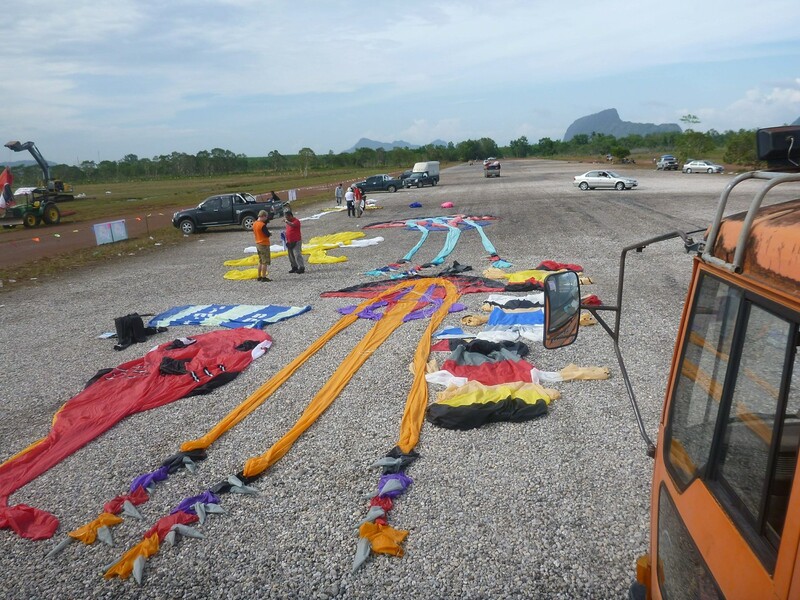 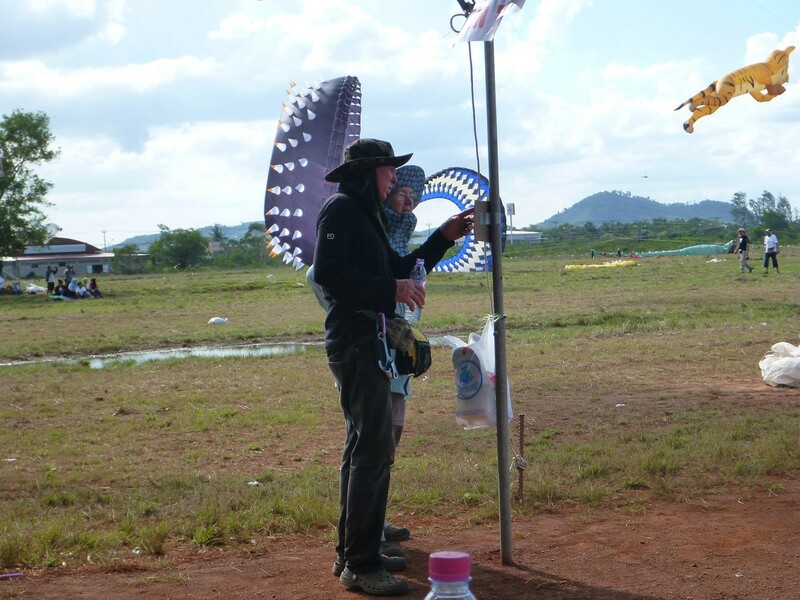 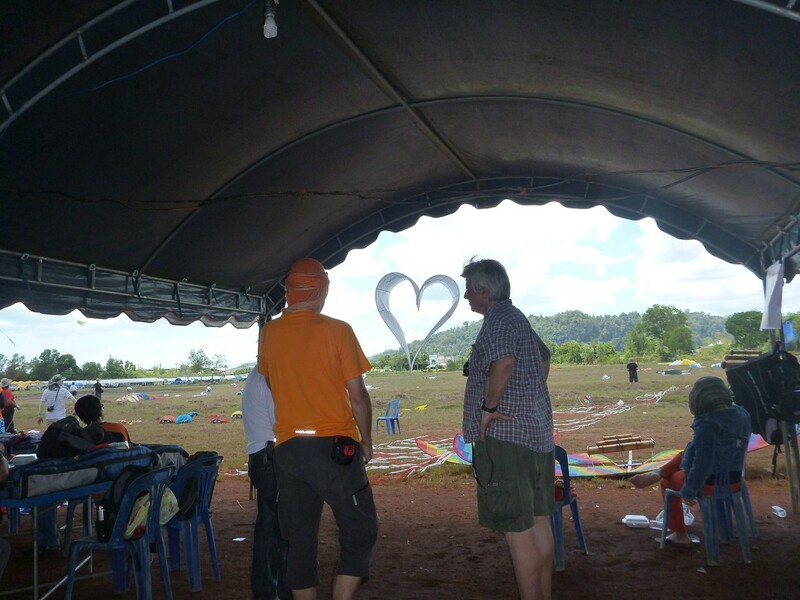 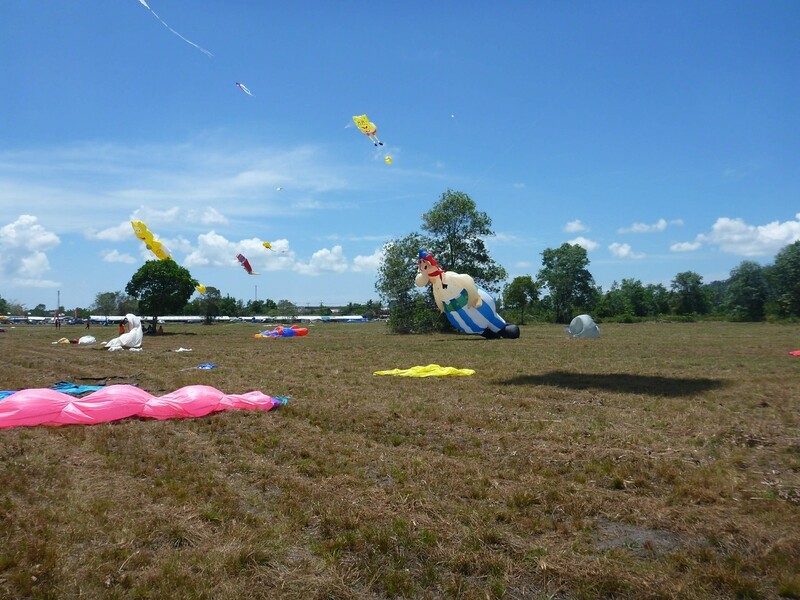 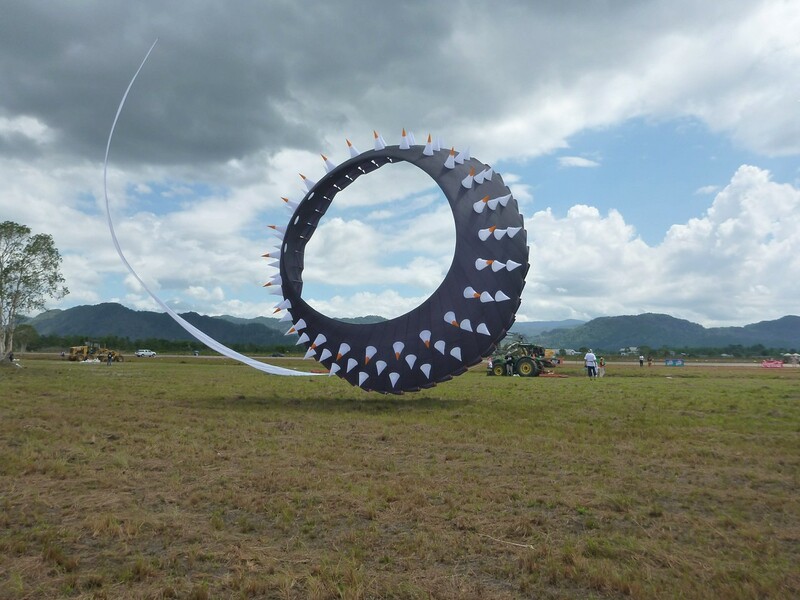 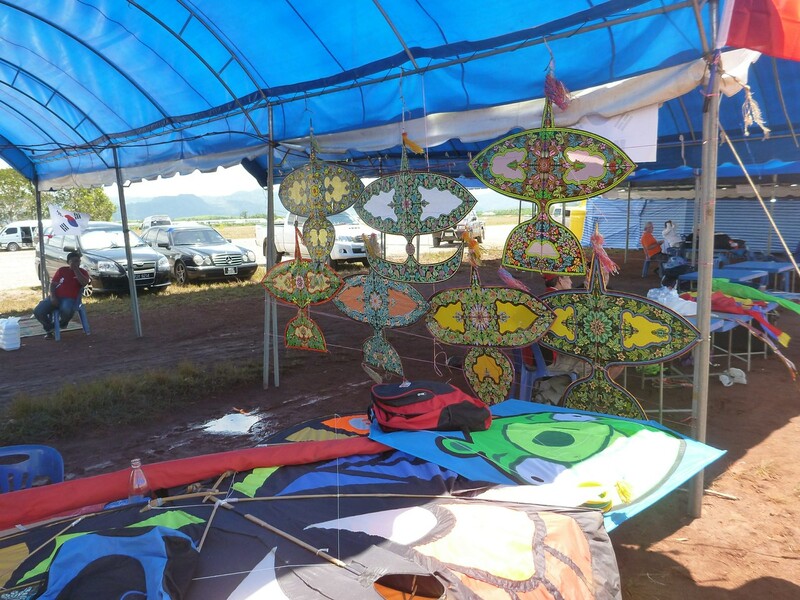 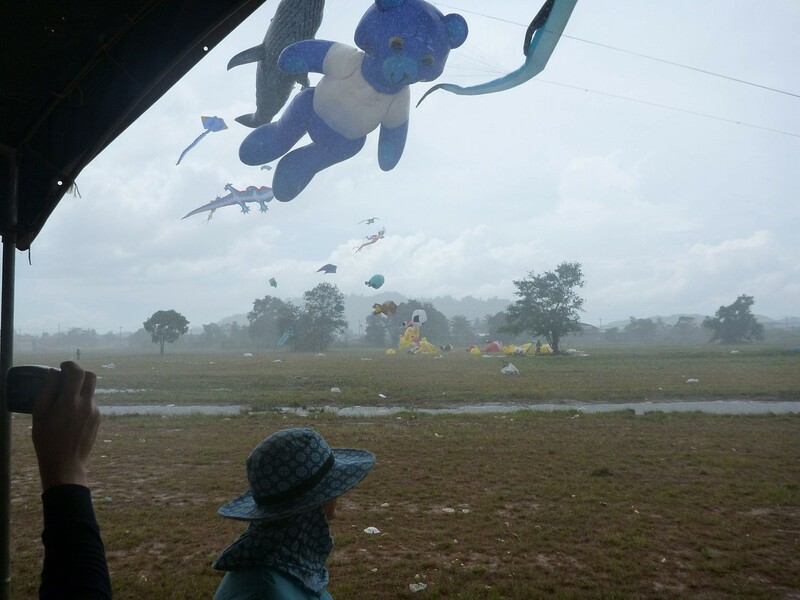 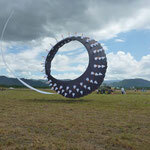 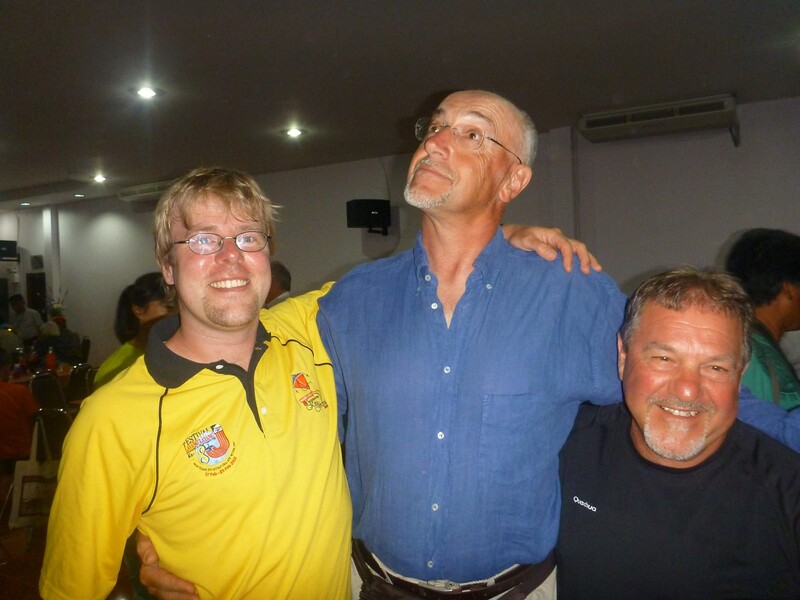 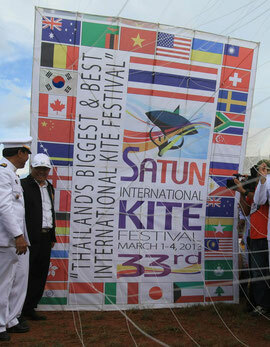 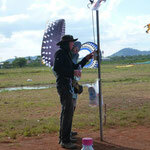 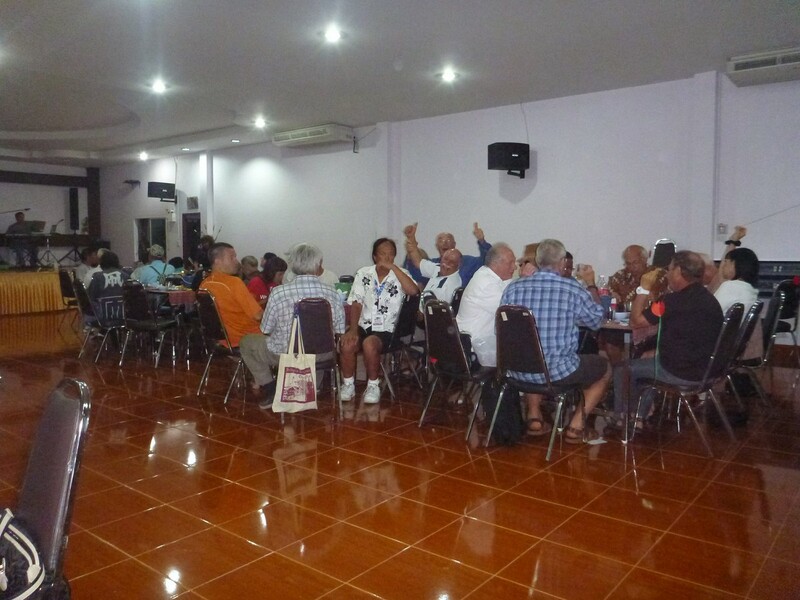 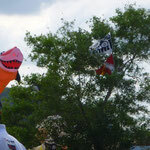 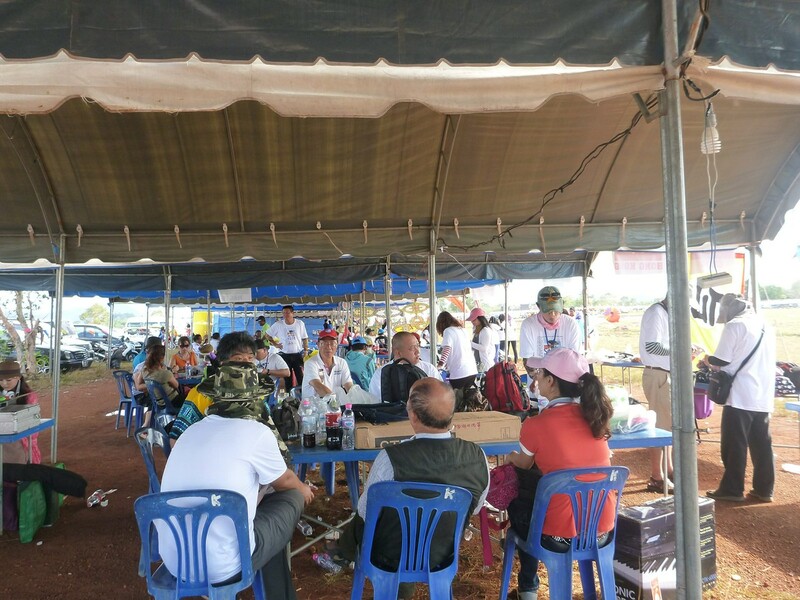 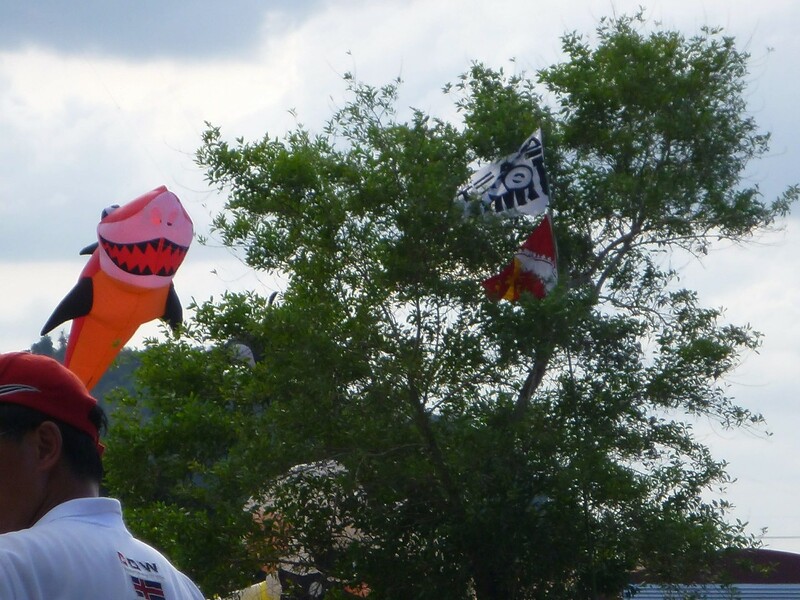 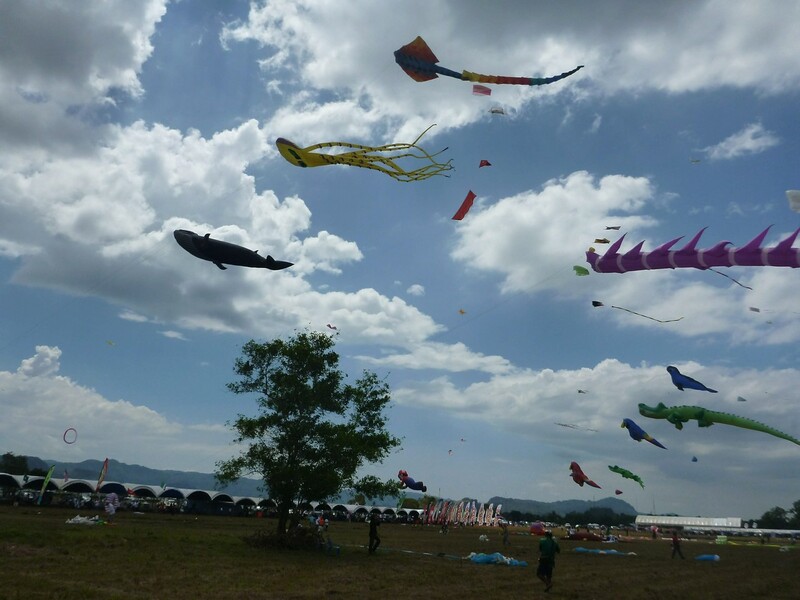 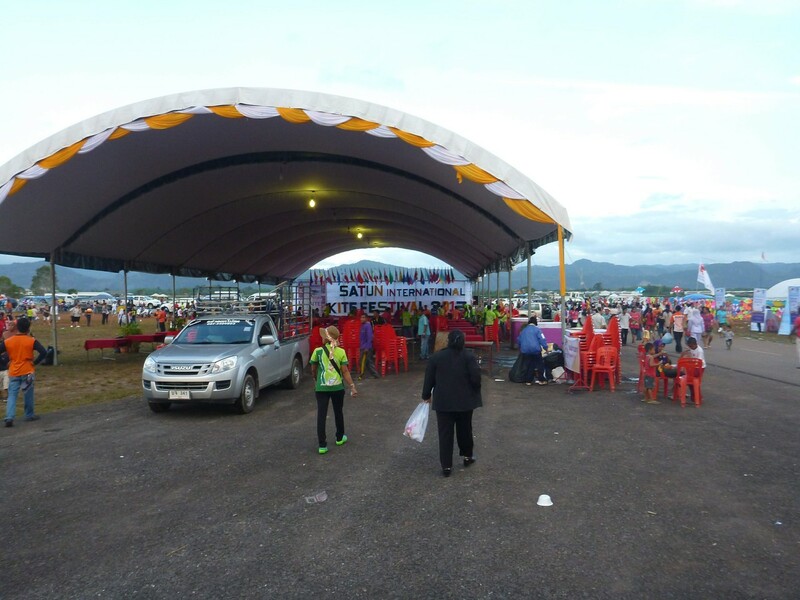 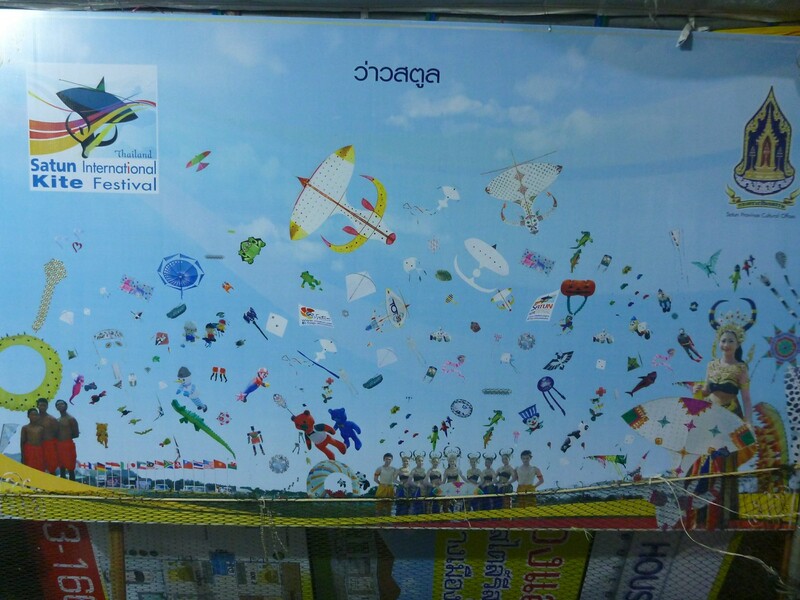 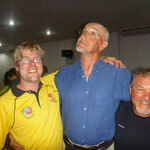 Olli and Volker participated this year at the 33rd Satun International Kitefestival. 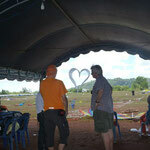 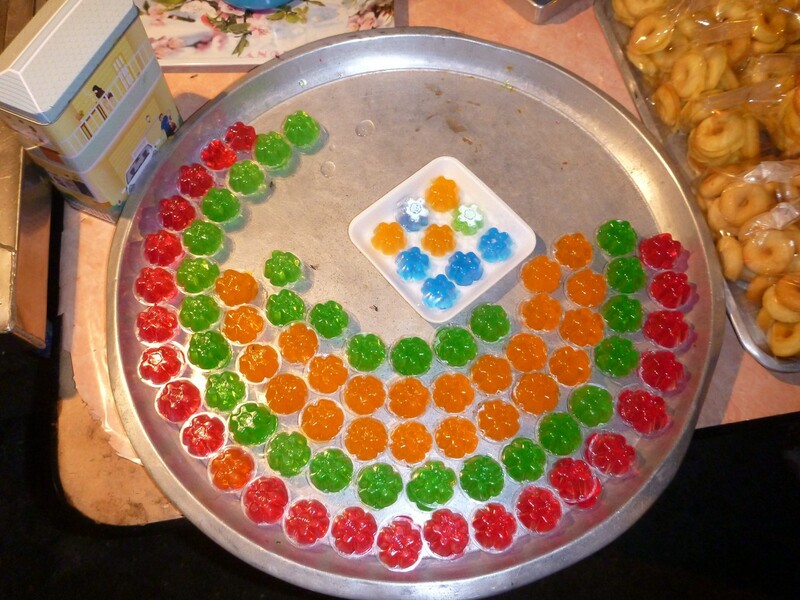 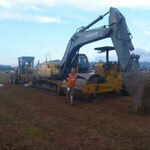 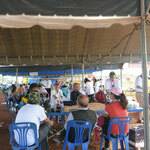 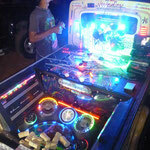 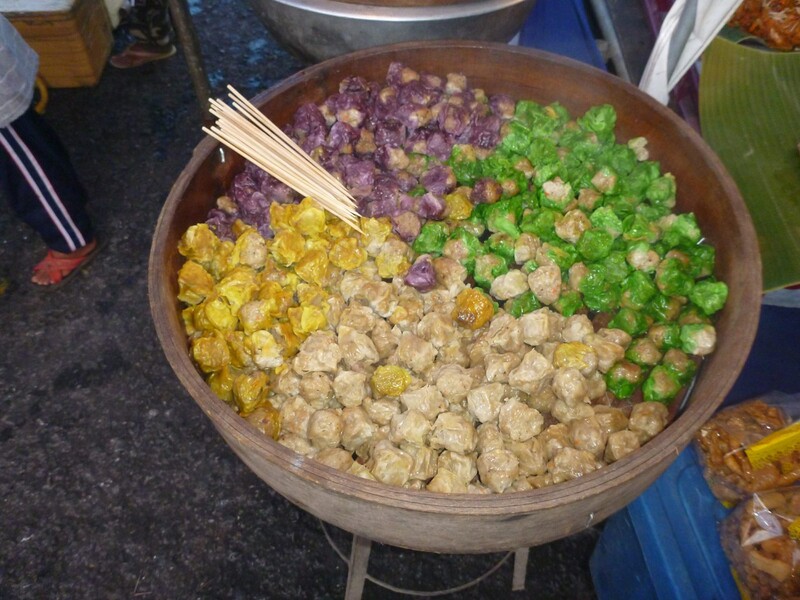 It was the first time for the No Limits to join this great festival. 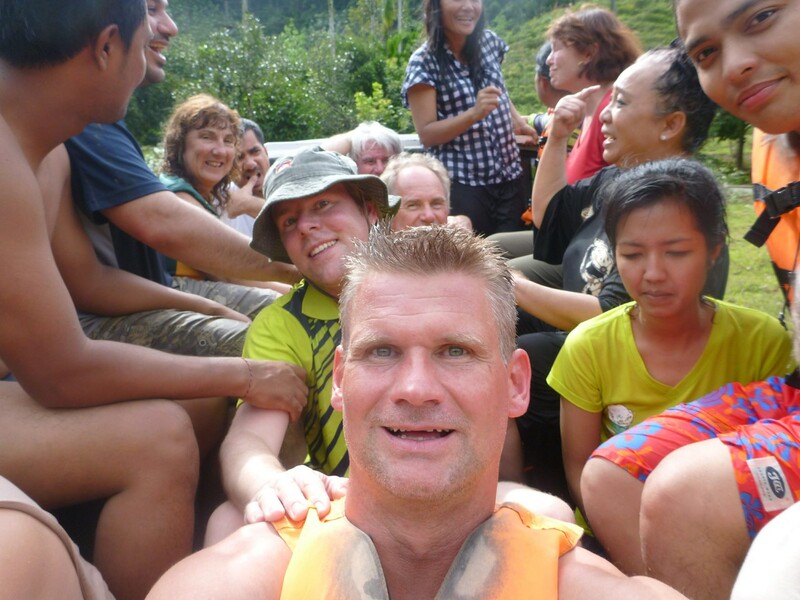 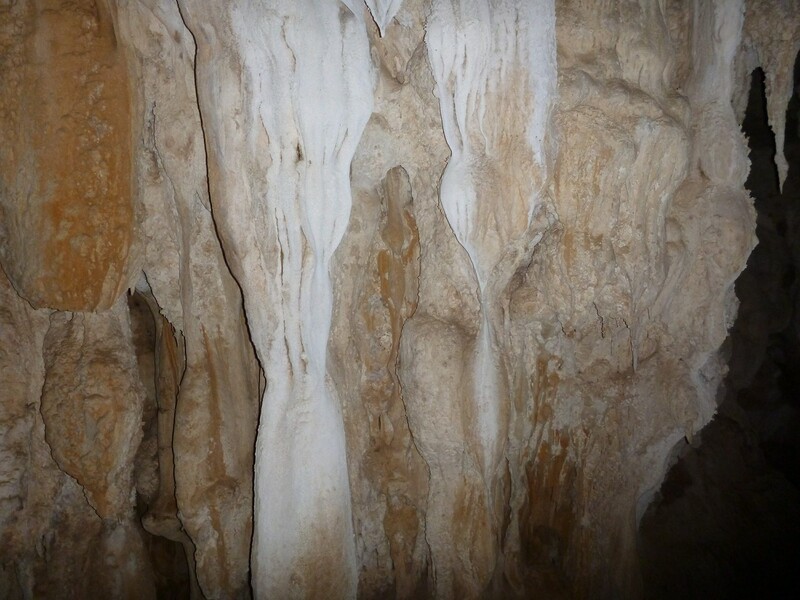 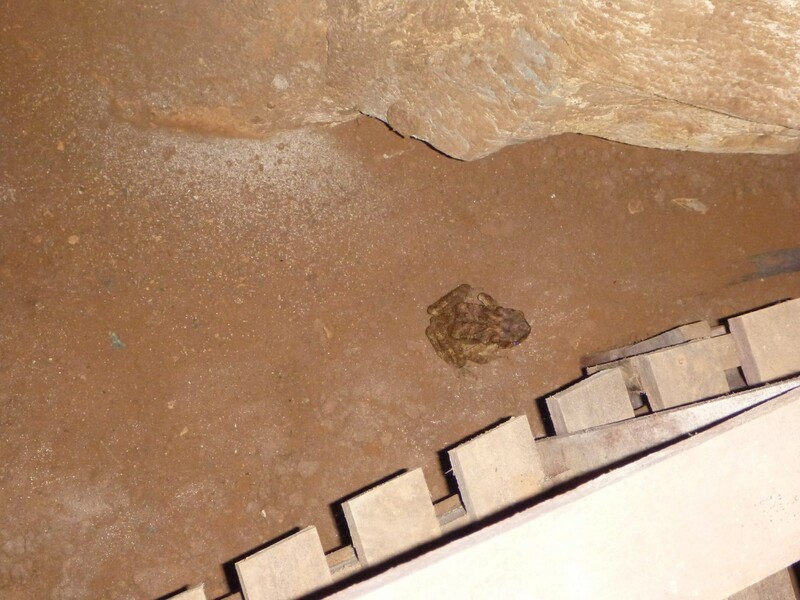 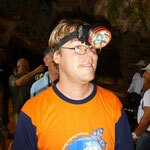 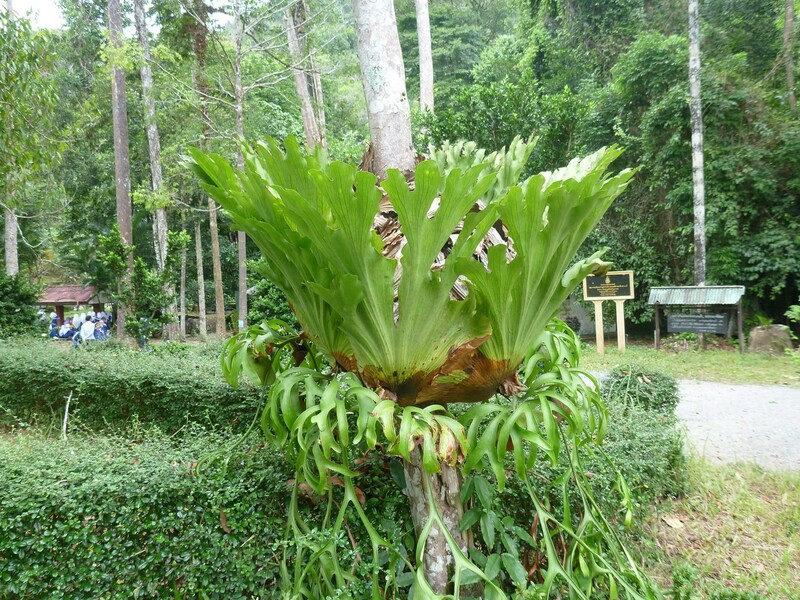 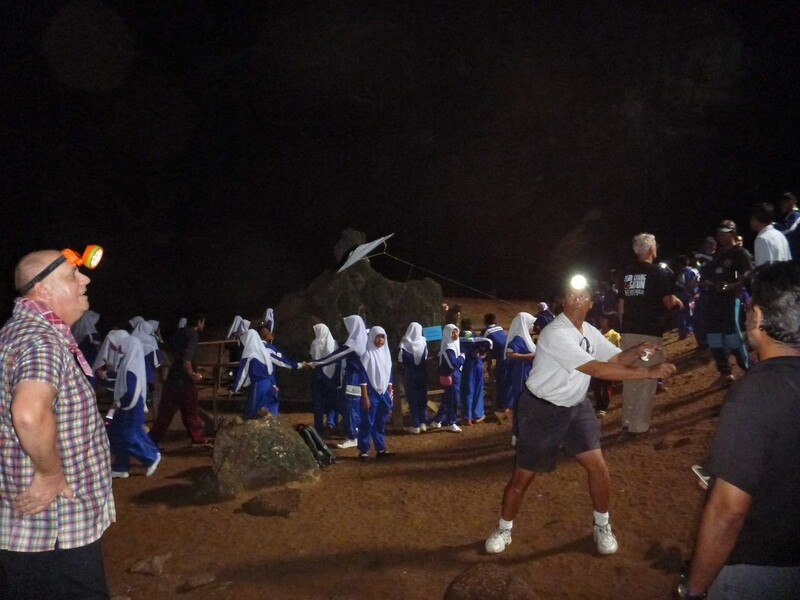 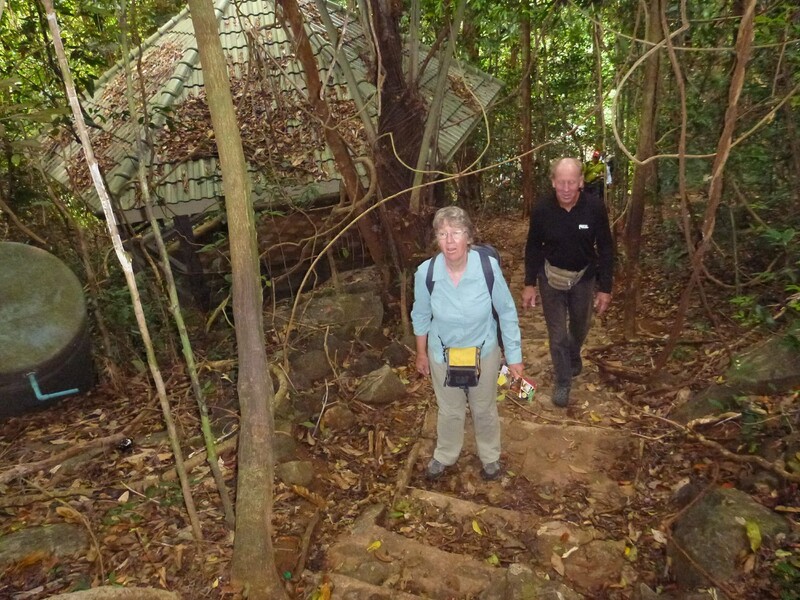 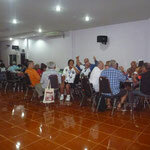 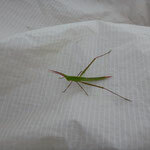 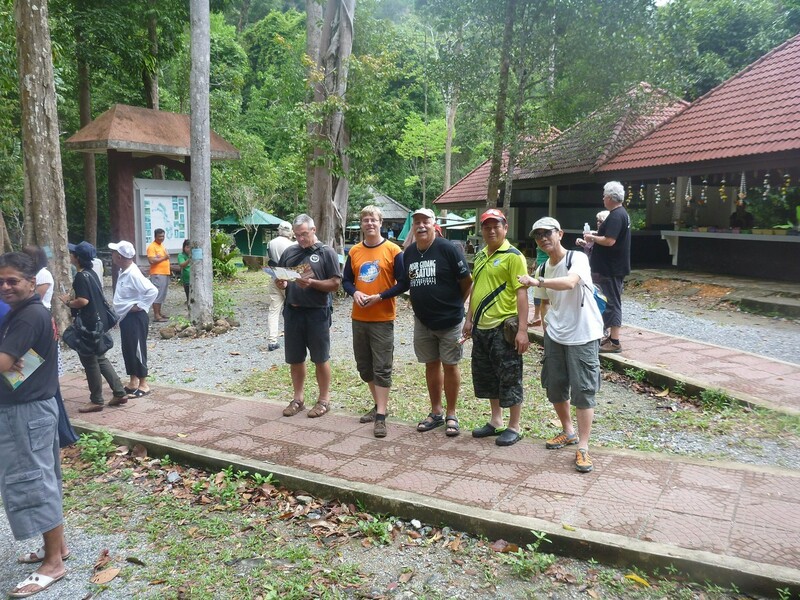 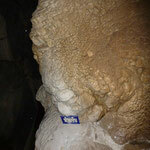 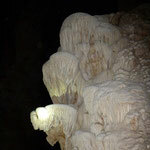 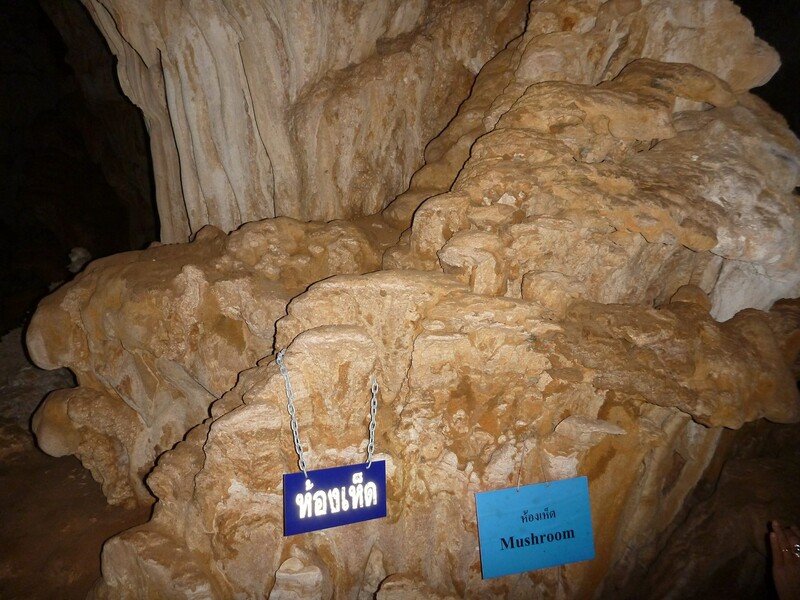 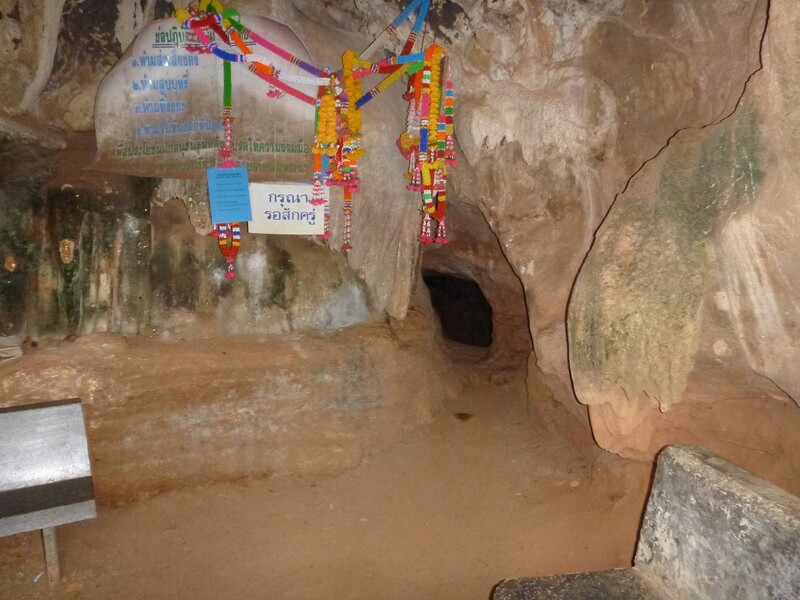 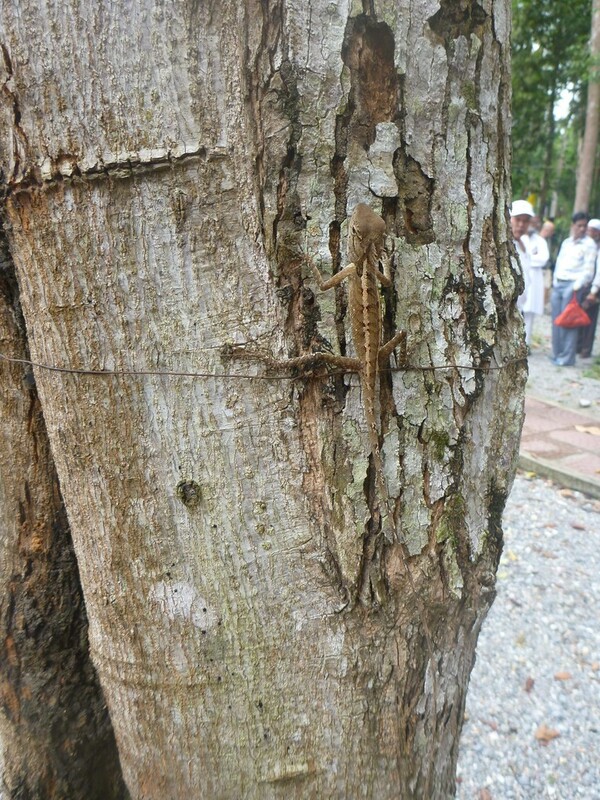 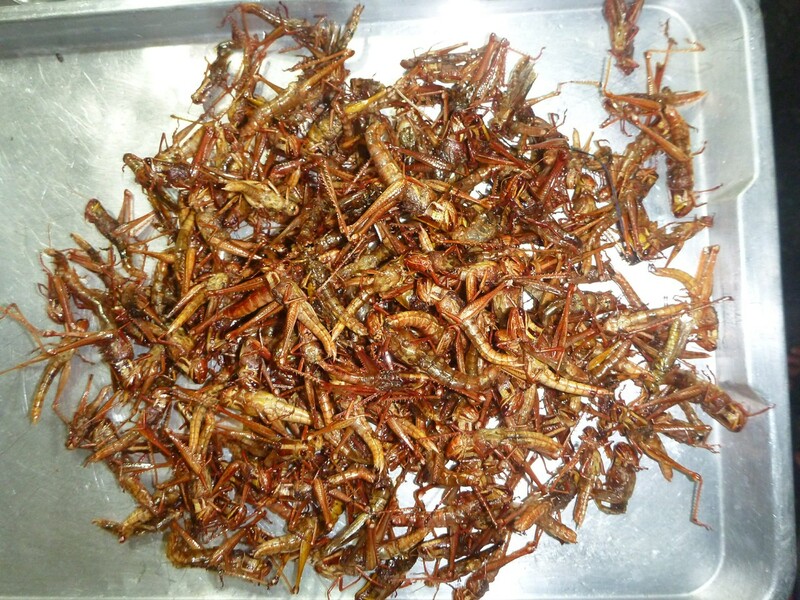 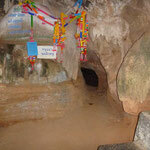 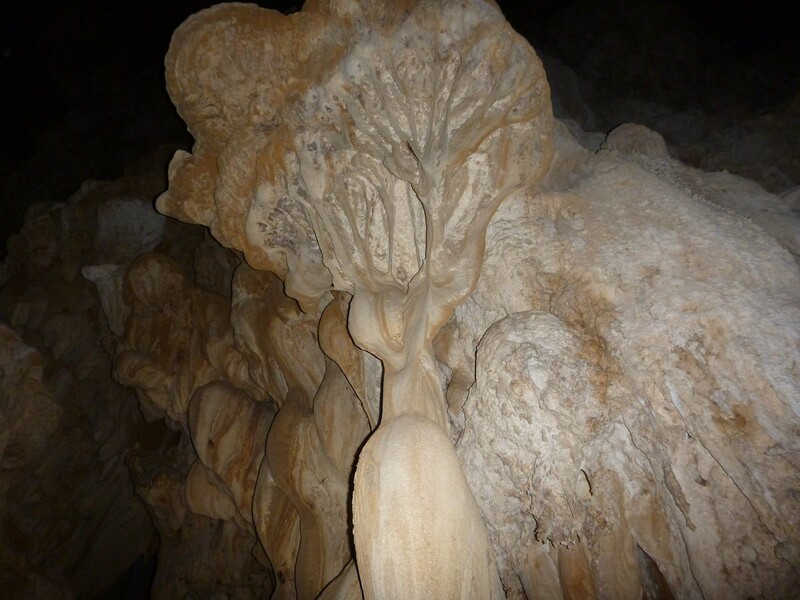 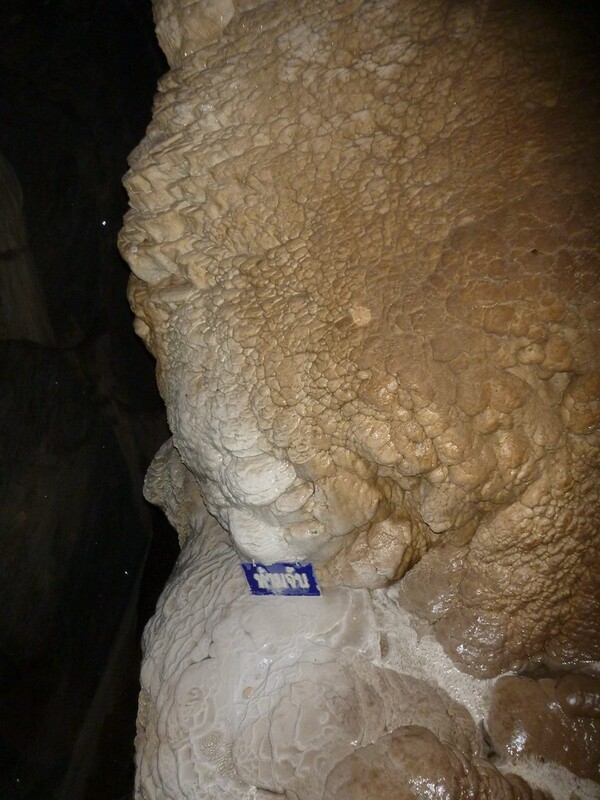 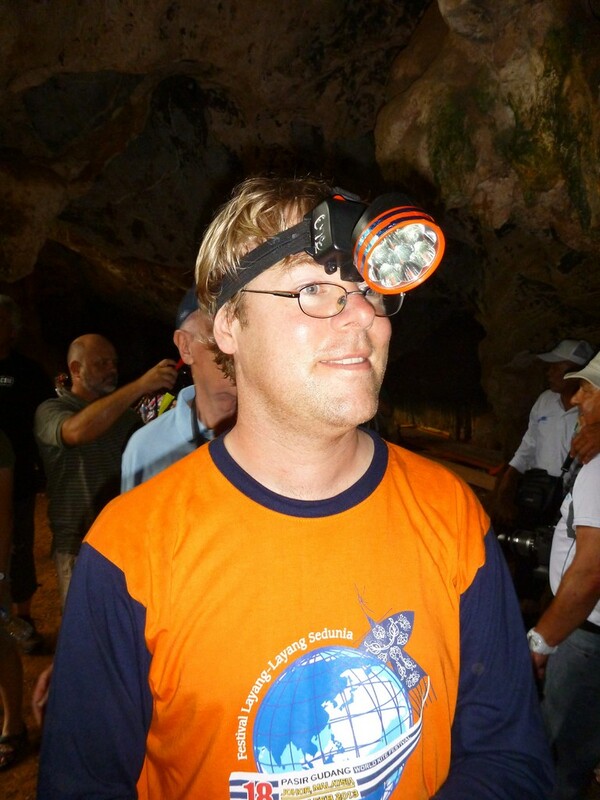 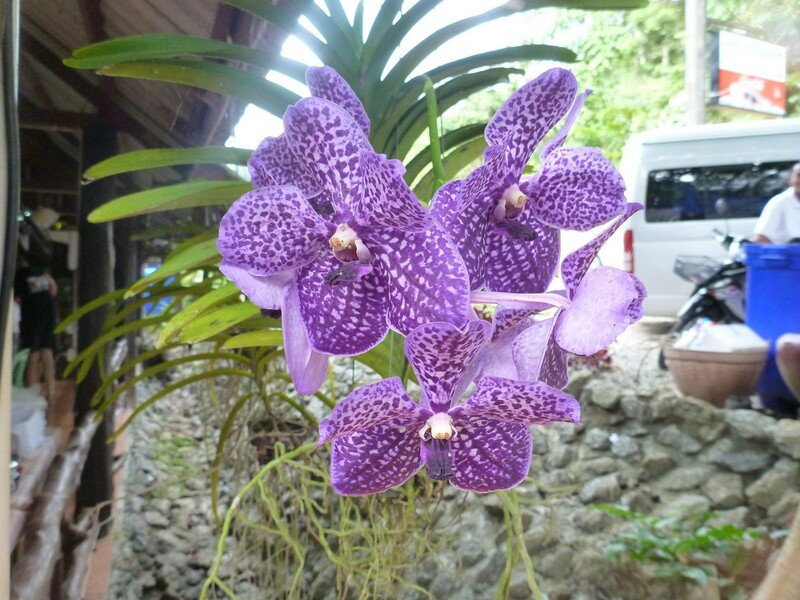 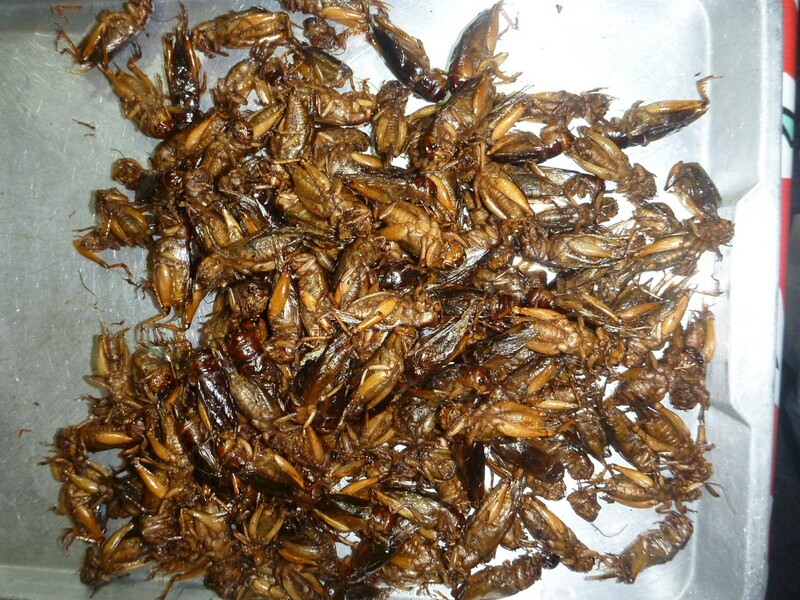 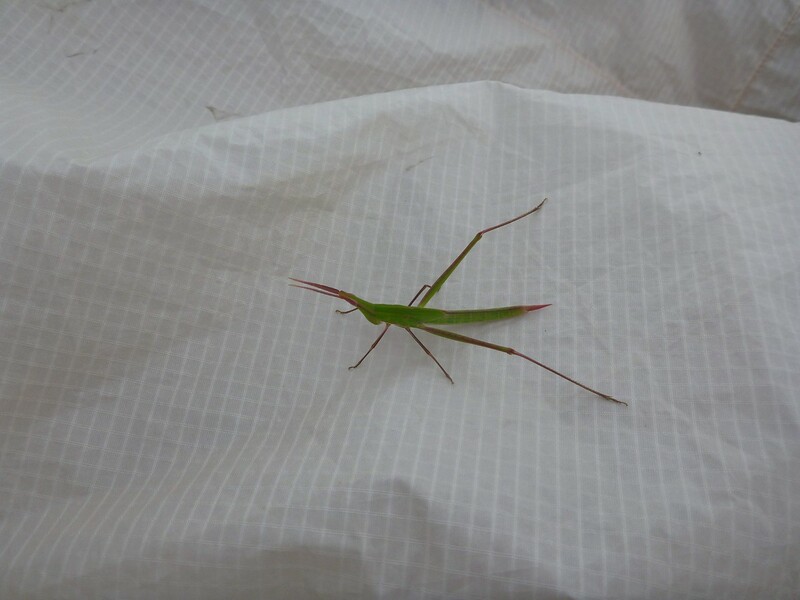 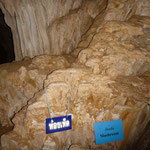 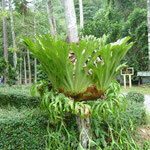 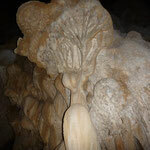 On the wednesday, 27th, we joined a tour with most of the other kitefliers to the Diamond Montain Cave http://blog.malaysia-asia.my/2010/08/phu-pha-phet-cave-in-satun-thailand.html. 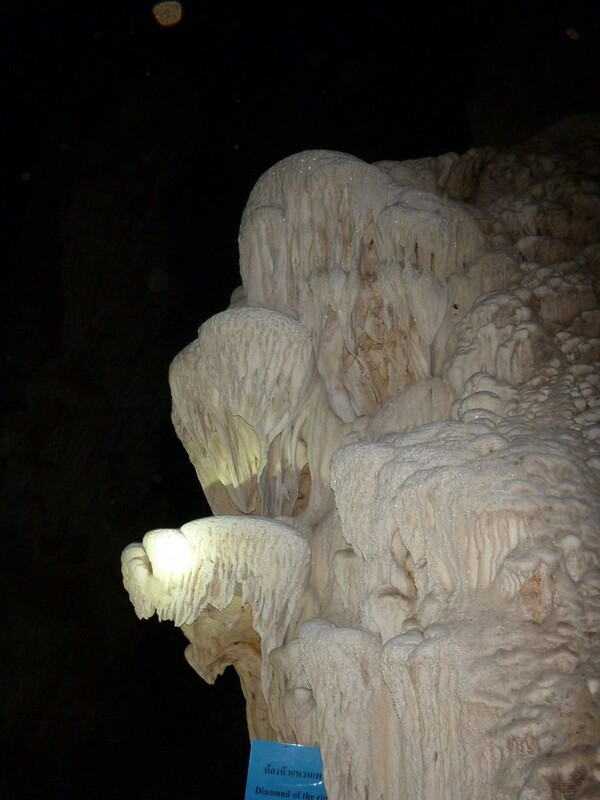 Although the mountain does not consist of diamonds, the size of the 3rd largest caves in the world are really impressive. 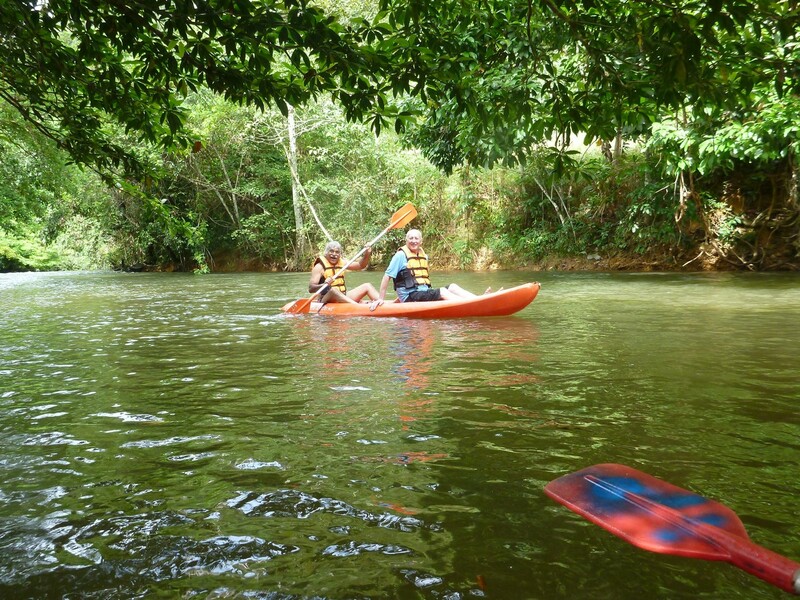 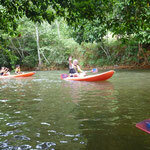 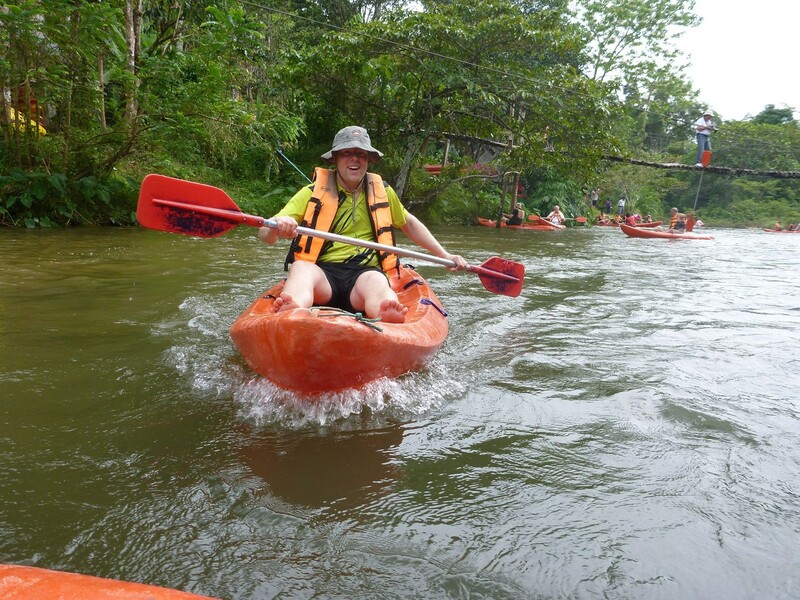 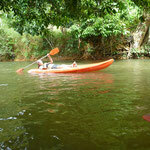 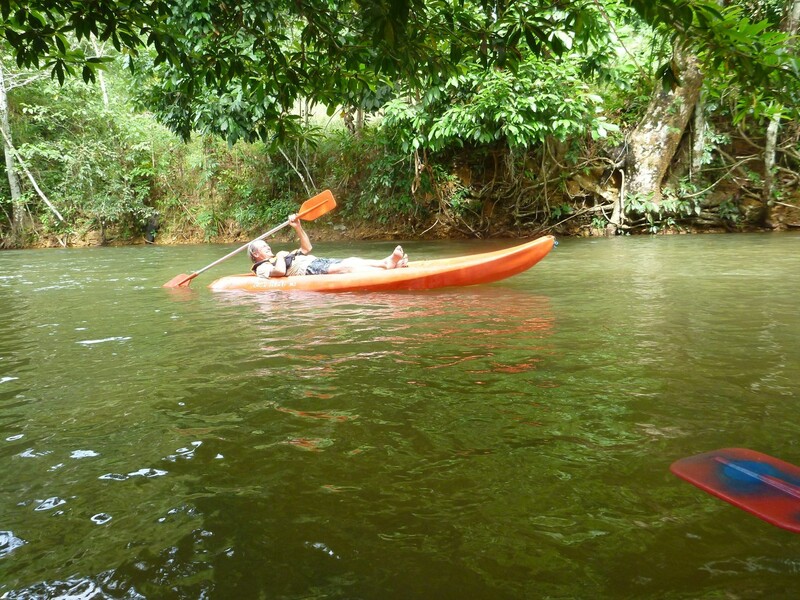 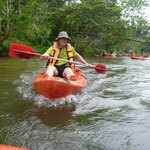 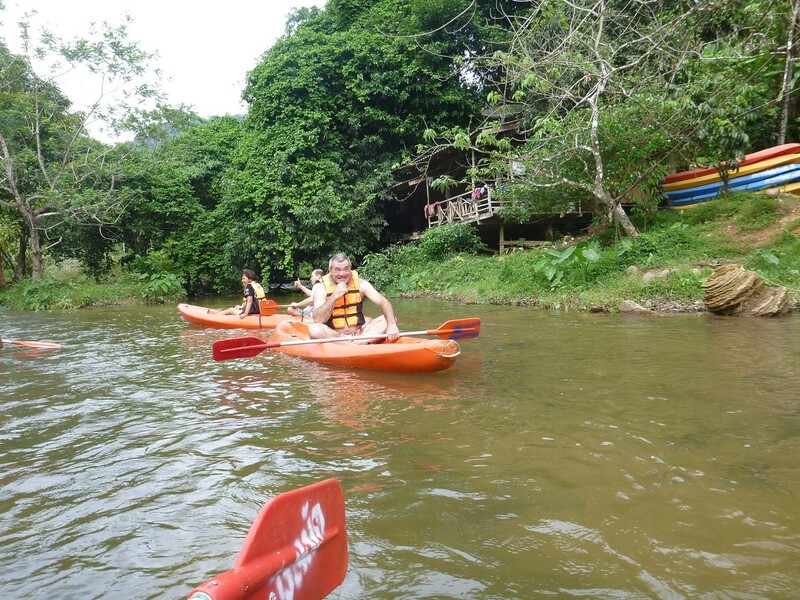 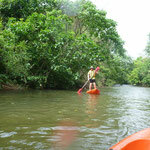 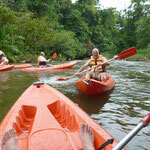 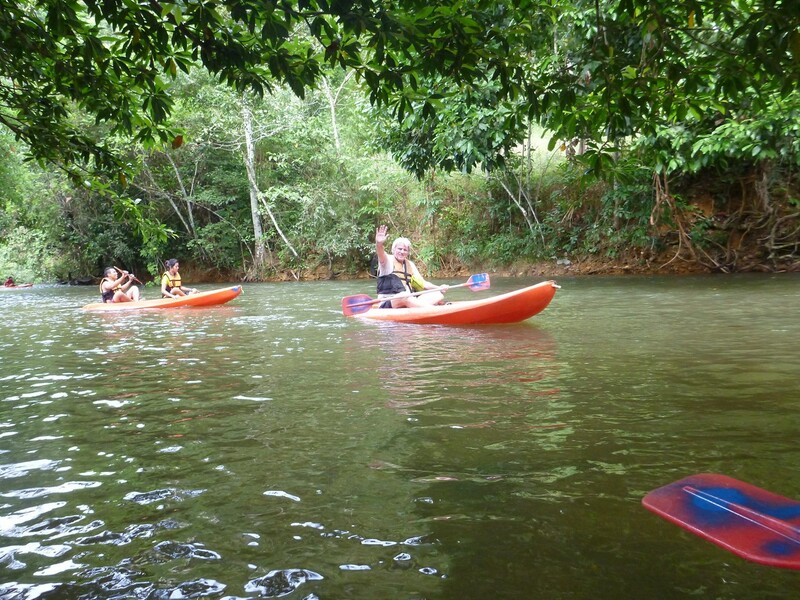 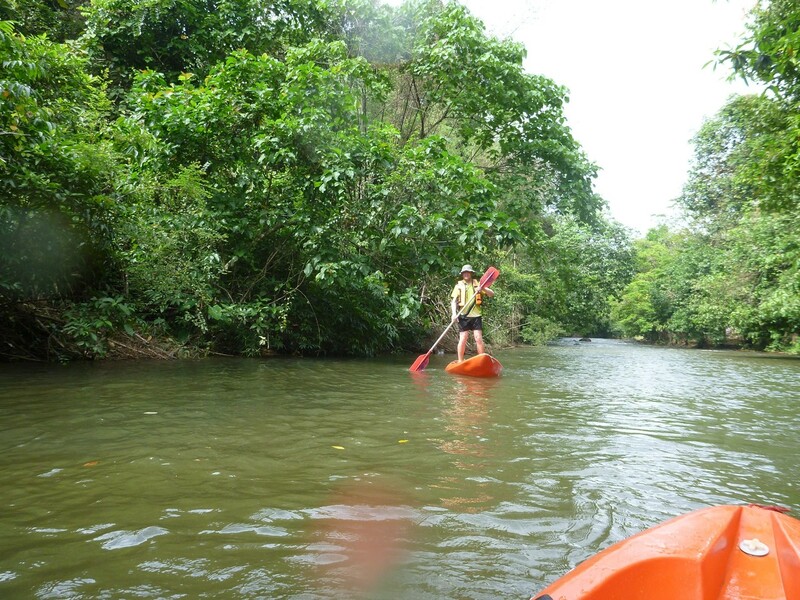 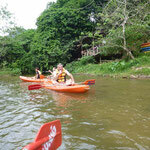 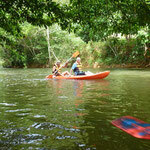 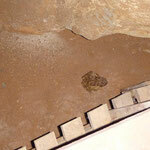 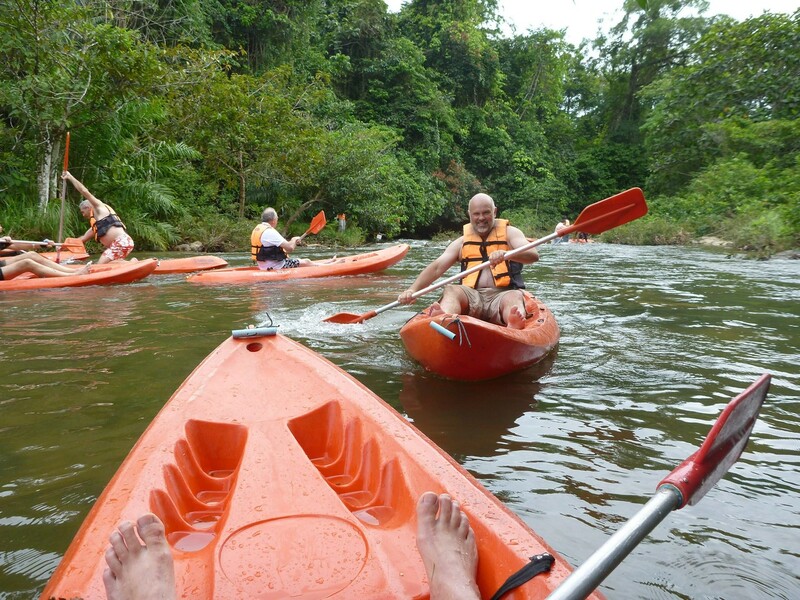 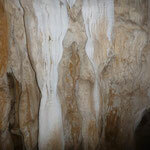 From the caves, we went further on to have lunch and to make a white water kayak trip. 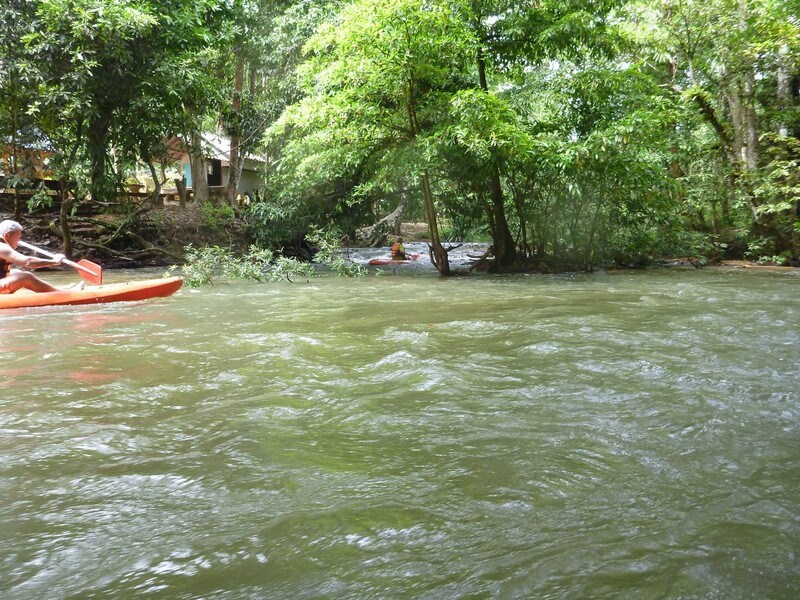 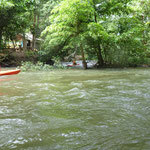 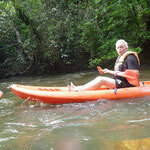 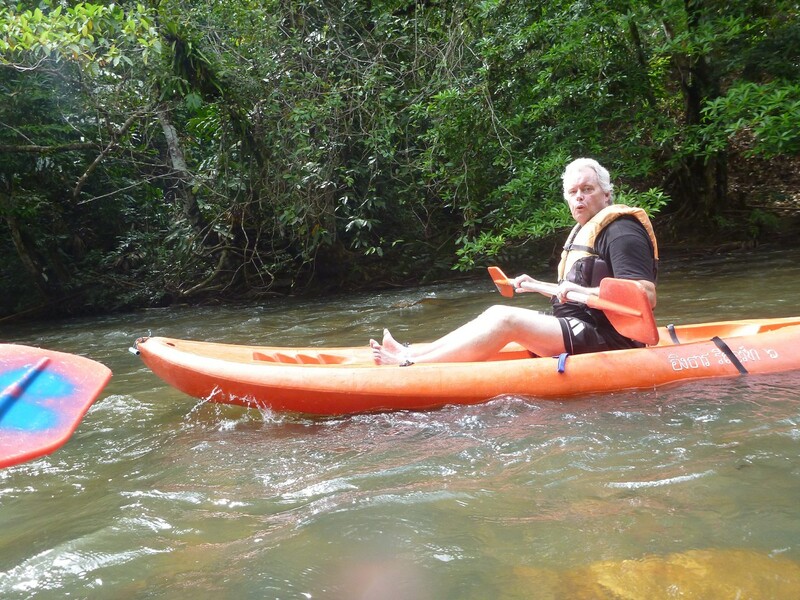 That was great fun, and not exhausting at all, as we went downstream. 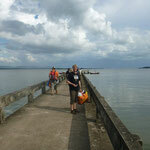 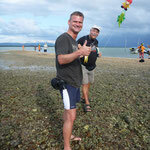 On Thursday, 28th, we went to the 10 mile beach, a sand bar some km off the coast. 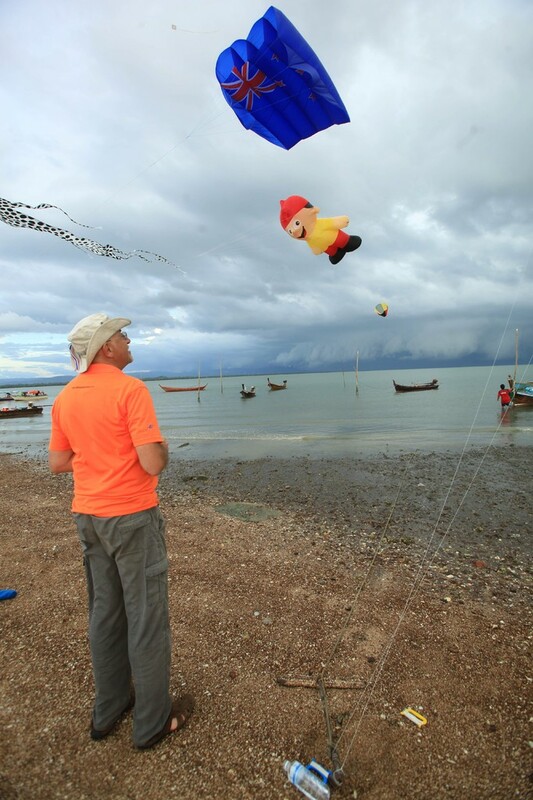 As we arrived a bit early, and the tide was not low enough, we flew some small kites on an island close to 10 mile beach. 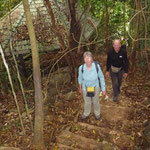 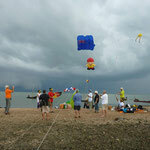 When the sand of 10 mile beach became visible, we headed with a 13 pers. 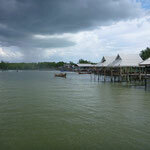 boat towards the sand bar. 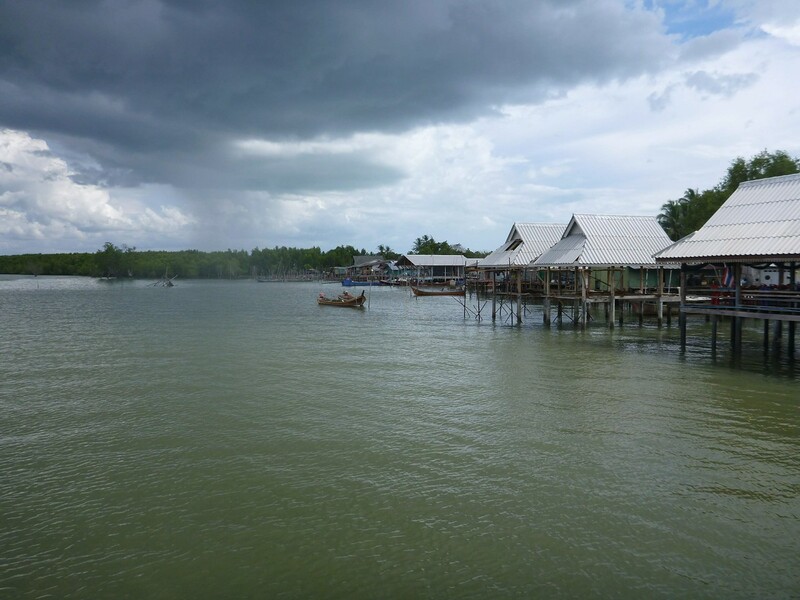 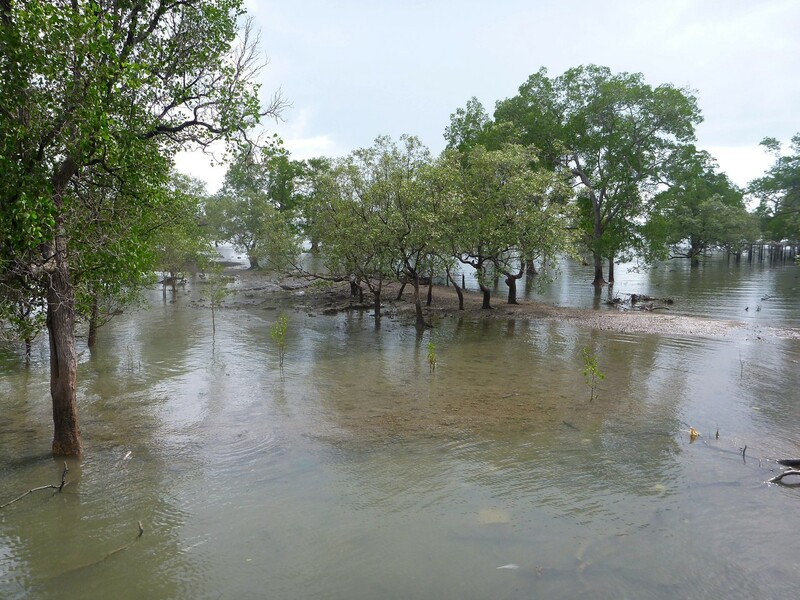 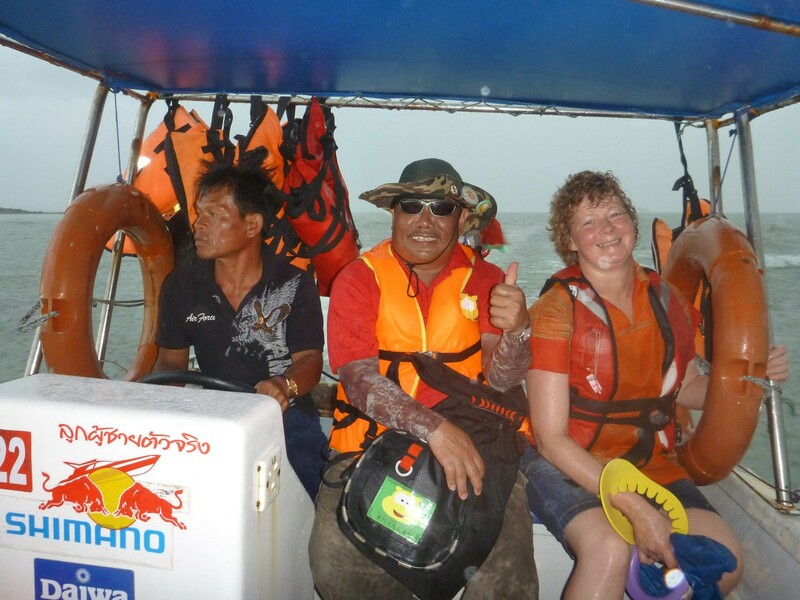 Unfortunately, the weather developed not to our favour, and arrived at the bar, the wind changed, rain and lightning appeared... and we asked our captain if it would not be better to bring us back to the mainland. 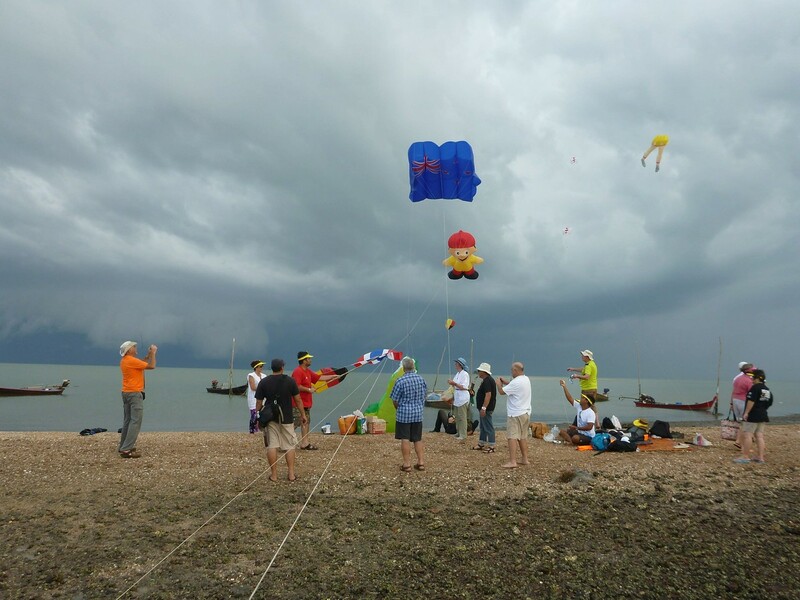 None of us was deeply interested in being stranded on a sand bar during a thunderstorm, even as we had some lightning arrestors (kites) with us. 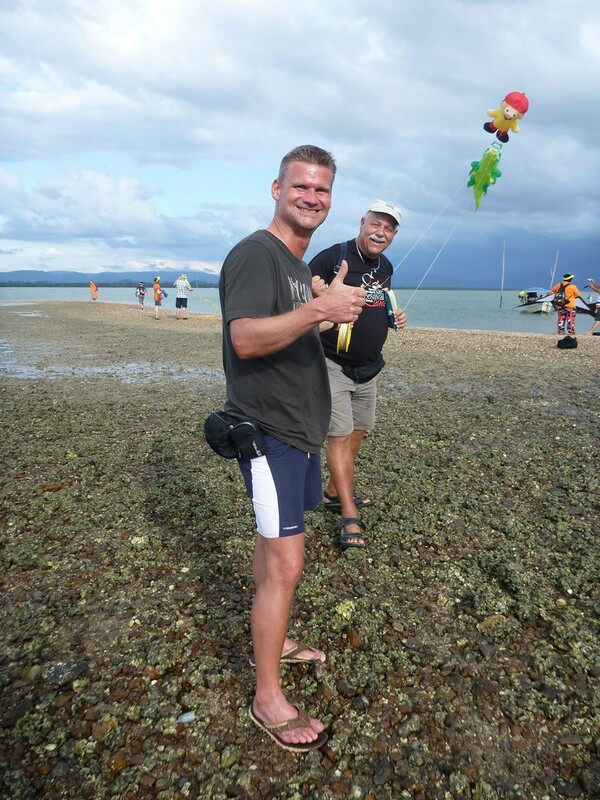 So the captain managed to restart the main engine of the boat and by the support of the deckhand, Peter Lynn, Olli and Volker, we managed to get the boat free from the sand bar. 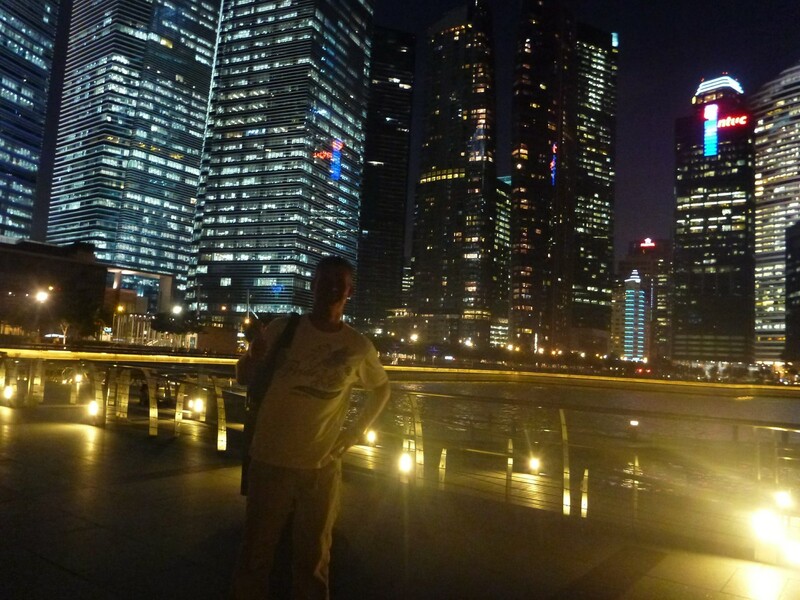 Some 45 mins later we were back at the quai, ready to be transferred for our dinner. 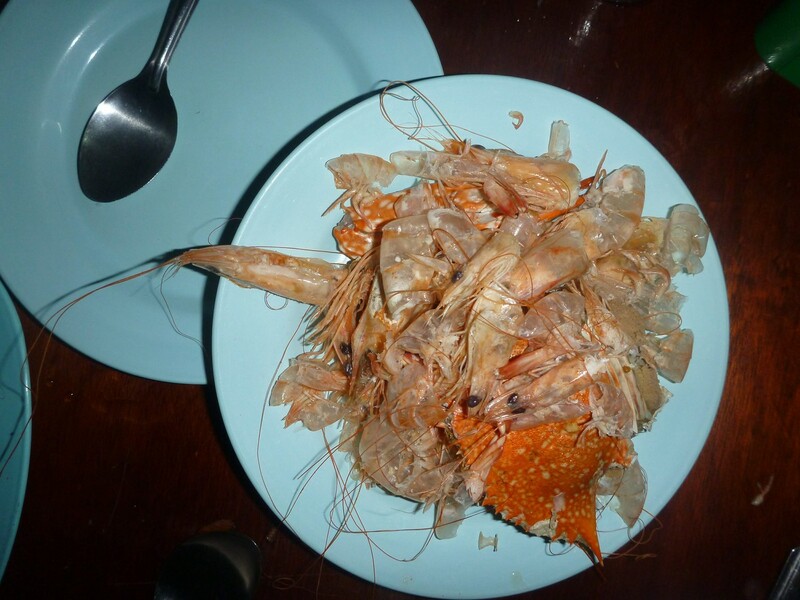 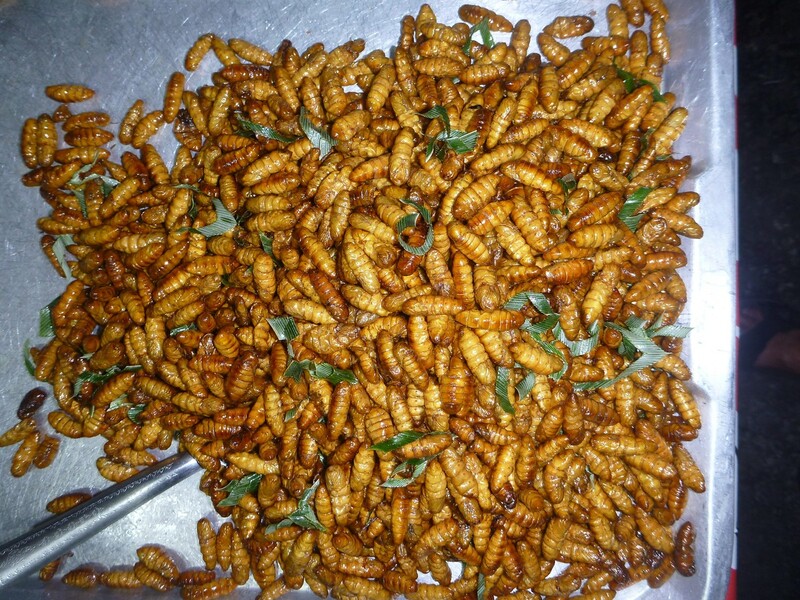 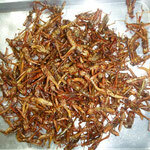 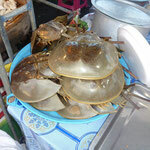 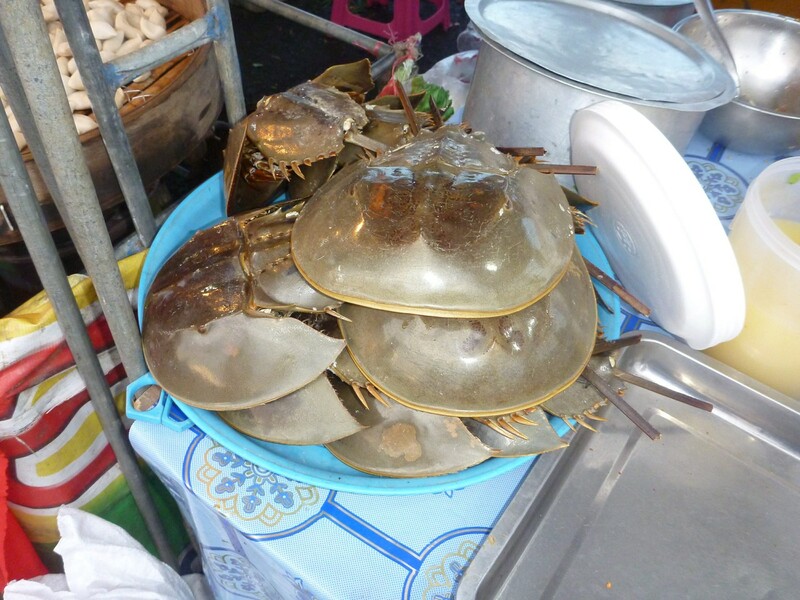 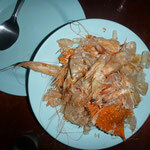 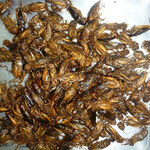 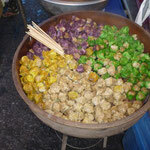 The dinner consisted of a lage variety of seafood. 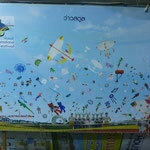 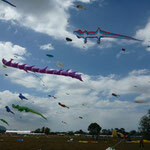 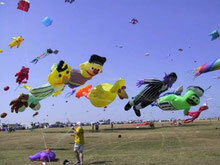 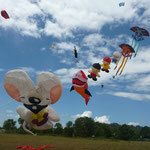 On Friday, 1st, the kitefestival started. 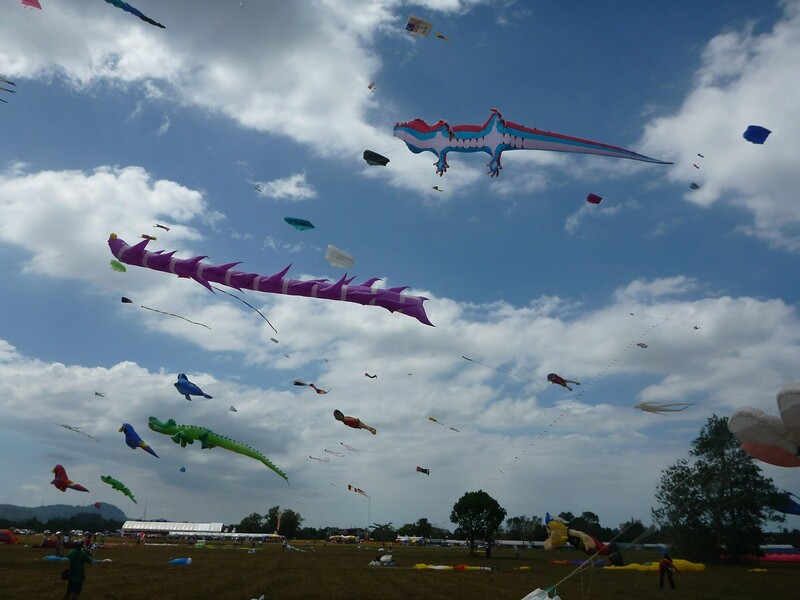 The Kitefield was well prepared with plenty sandbags, big (400kg) and small (15kg), 4 movable vehicles to attach kites, and for those preferring really fixed attachment points some trees at the end of the field. 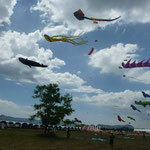 The wind was suitable to set up trains of kites which stayed up most time. 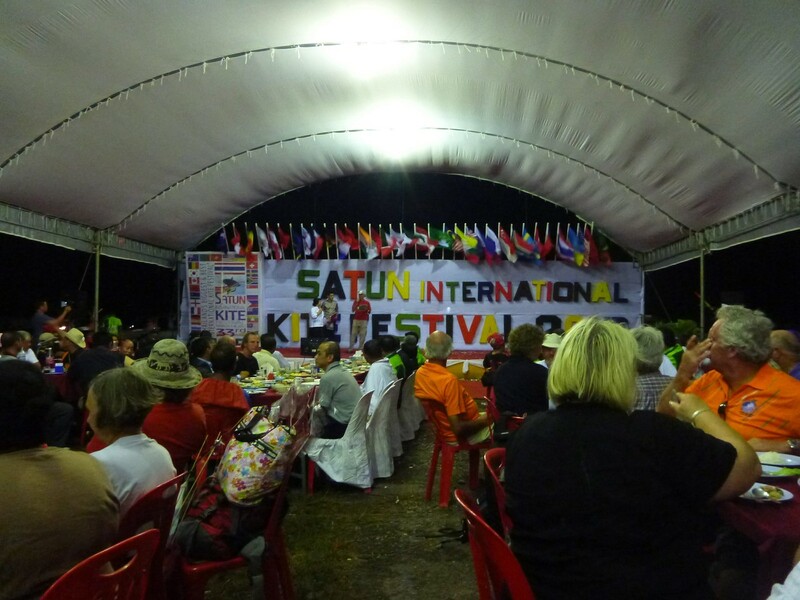 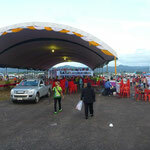 In the evening, the opening ceremony and dinner took place in a tent beside the kitefield. 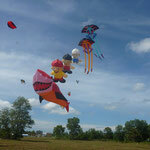 Saturday started with perfect wind, but the wind had a lunch break as we had. 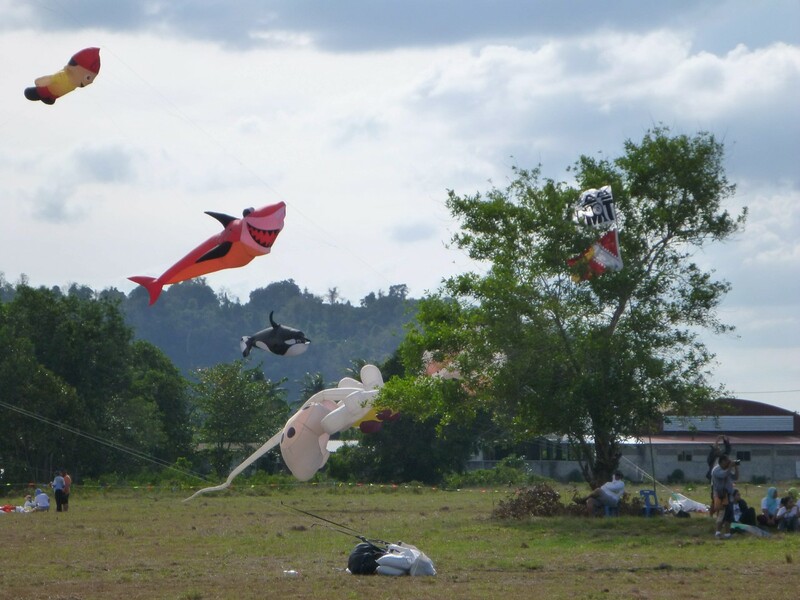 So around noon, most kites were down. 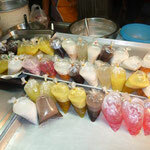 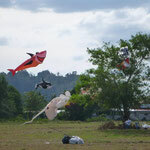 The afternoon was good again, with many kites in the air. 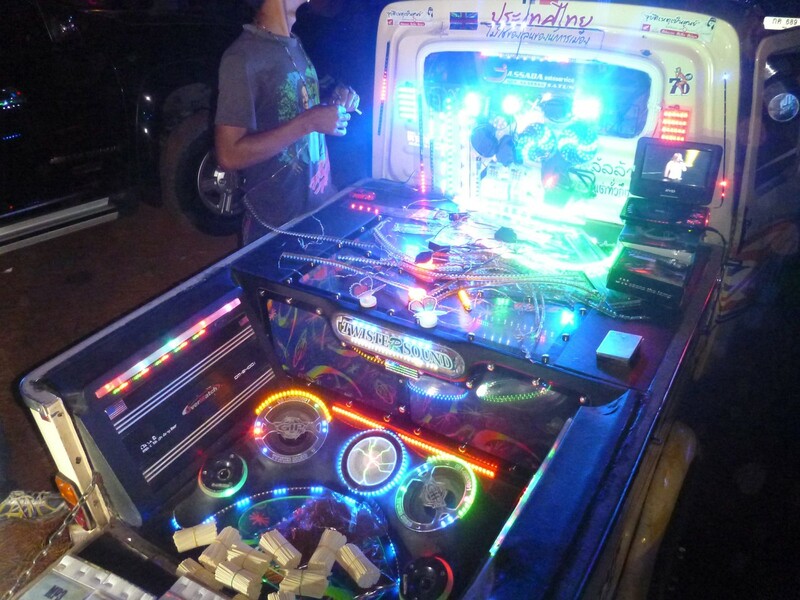 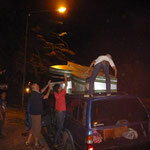 In the evening, the night flight took place, accompangied by local boy racers showing the (over-) decorated cars. 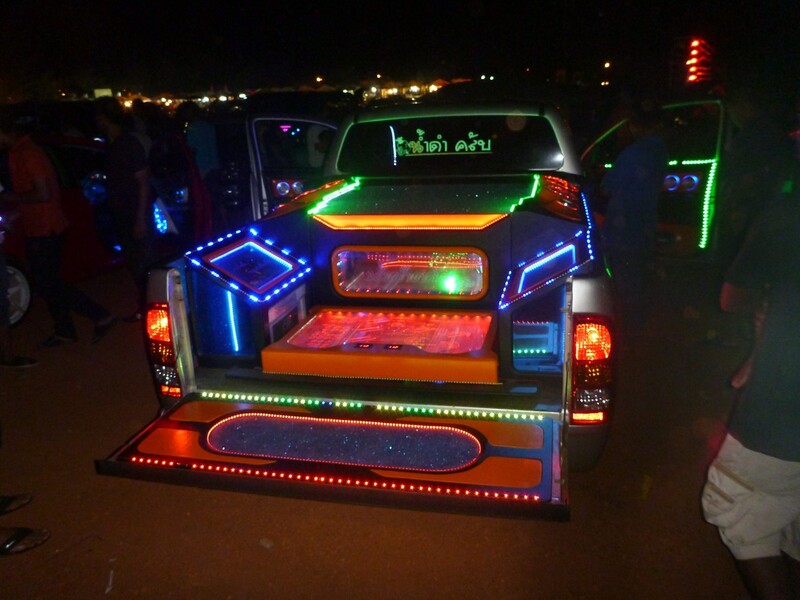 The cars boasted some kW of sound system and sometimes around 100W of installed capacity for LED flashing lights, robotic puppets and so on. 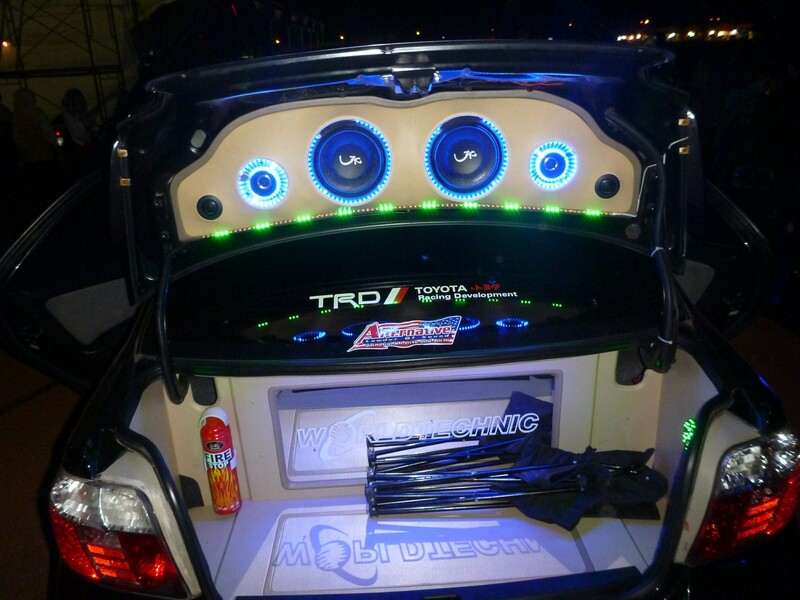 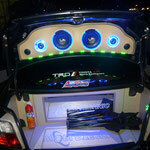 Some cars linked their already huge sound systems together to get sth.like a swarm intelligence for music. 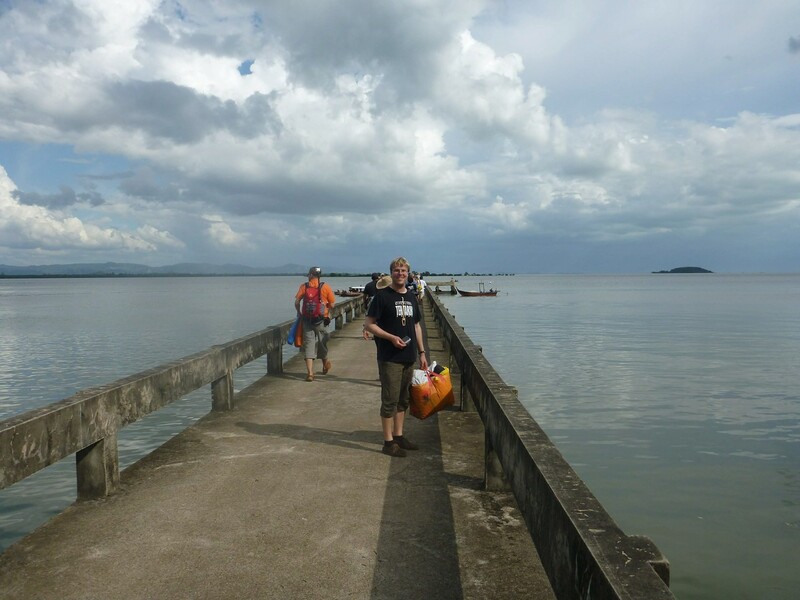 Olli and Volker decided to get some local food, chatted with locals and missed the last shuttle to the hotel (approximately 6-7km). 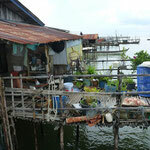 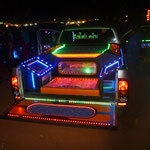 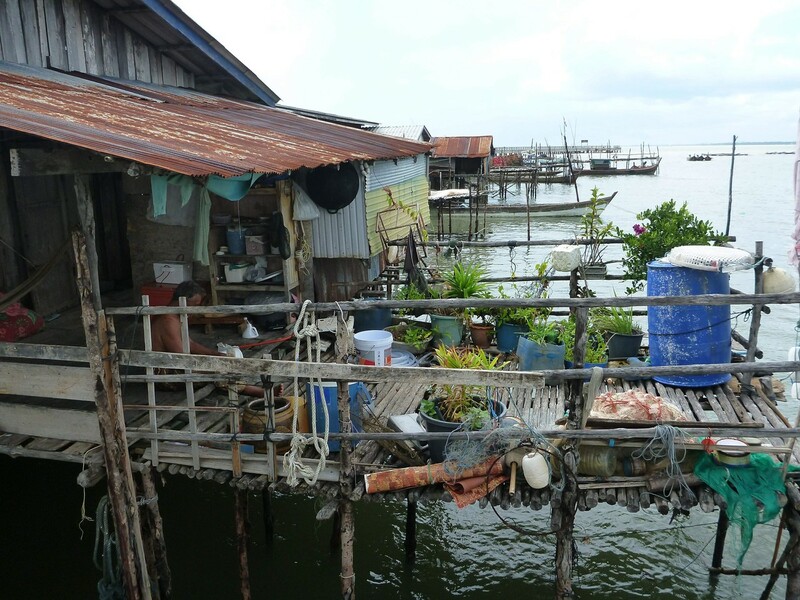 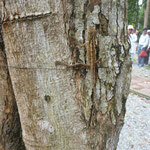 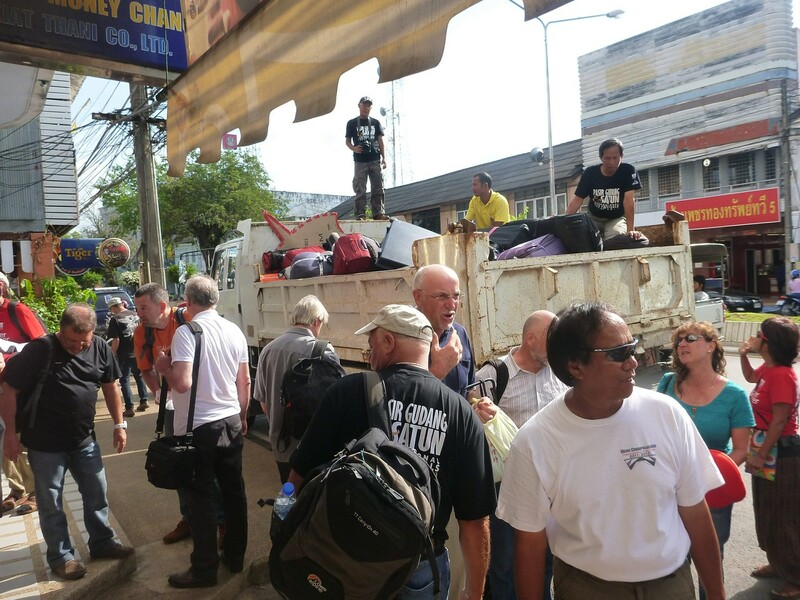 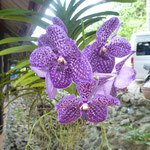 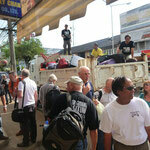 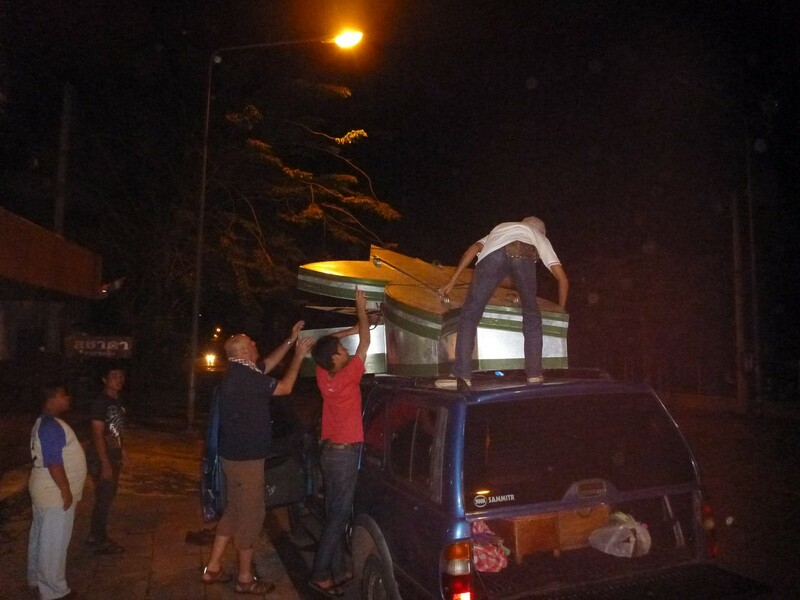 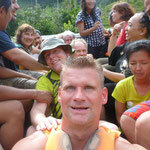 But no problem in Thailand: Friendly locals gave us a ride to Satun centre at the back of the pick-up truck. 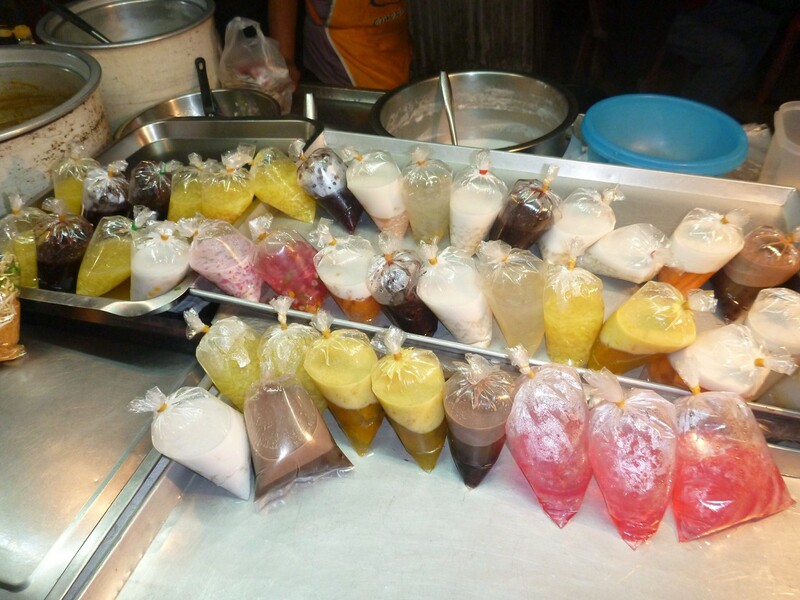 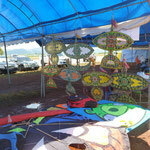 Sunday started as saturday, but in the late afternoon we had twice the opprtunity to get our kites washed for free. 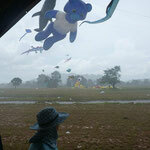 Some rain, accompagnied by decent gusts cleaned our kites. 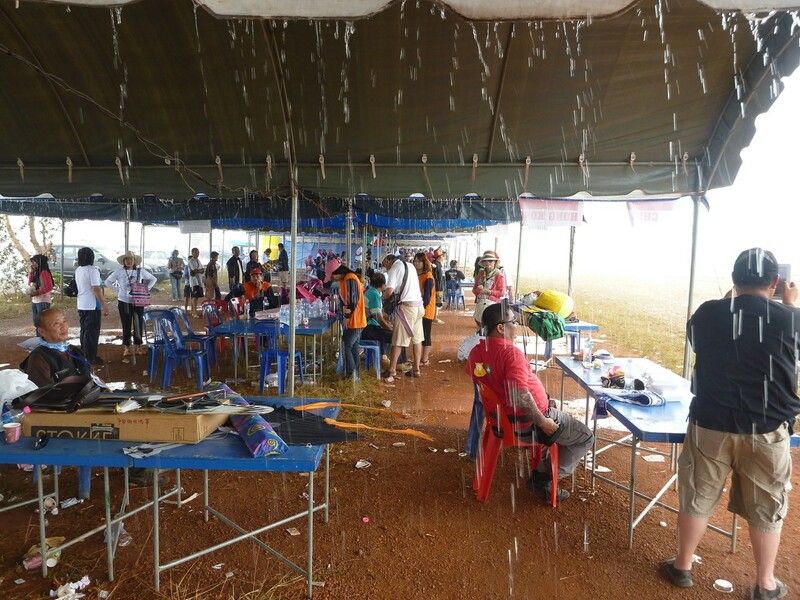 The drying was a matter of less than an hour on the tarmac nearby, as the wind was also washed away. 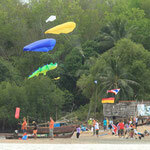 To get the kites 100% dry, Ron and Baew organised that big kites could be spread out at the tourist office. 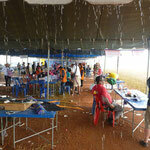 Great service, and even better organisation. 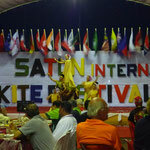 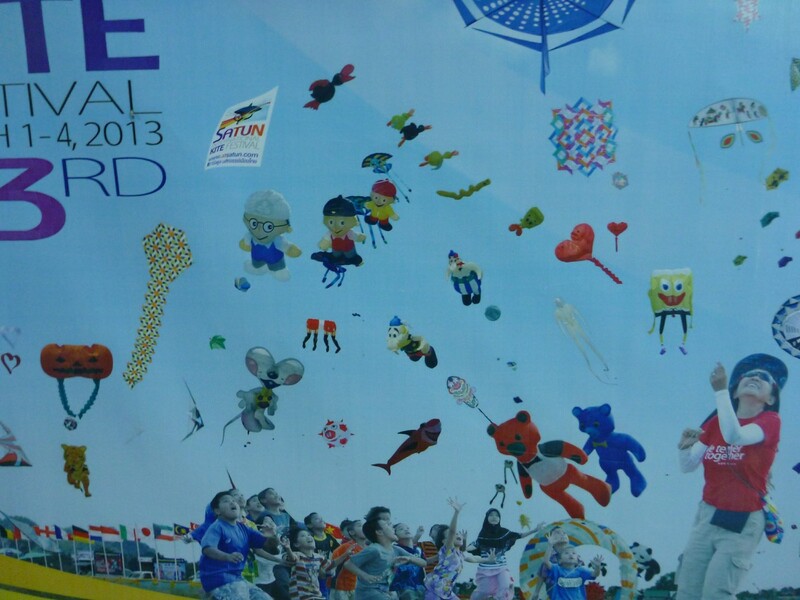 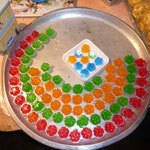 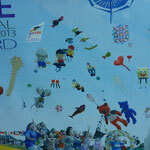 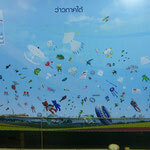 In the evening, we had the closing ceremony, and many DVDs with photos of the kitefestival were handed out. 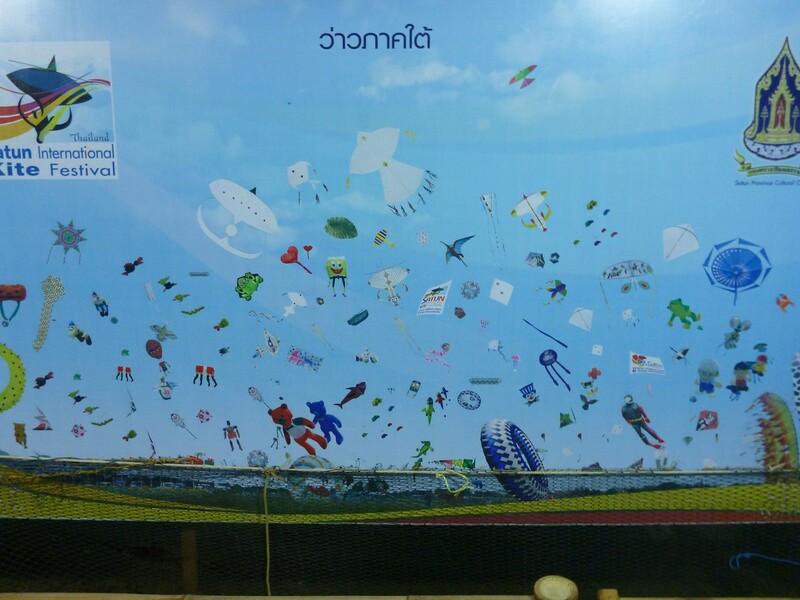 Thanks a lot for this support. 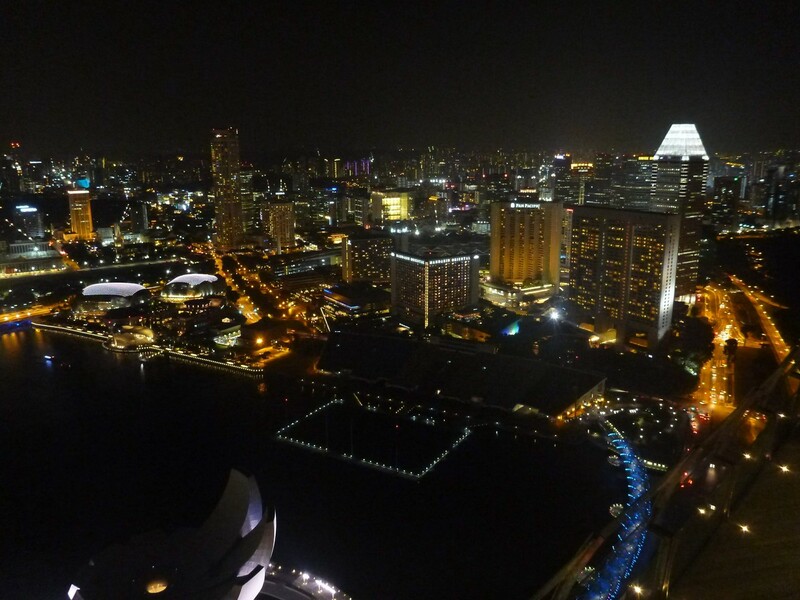 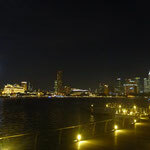 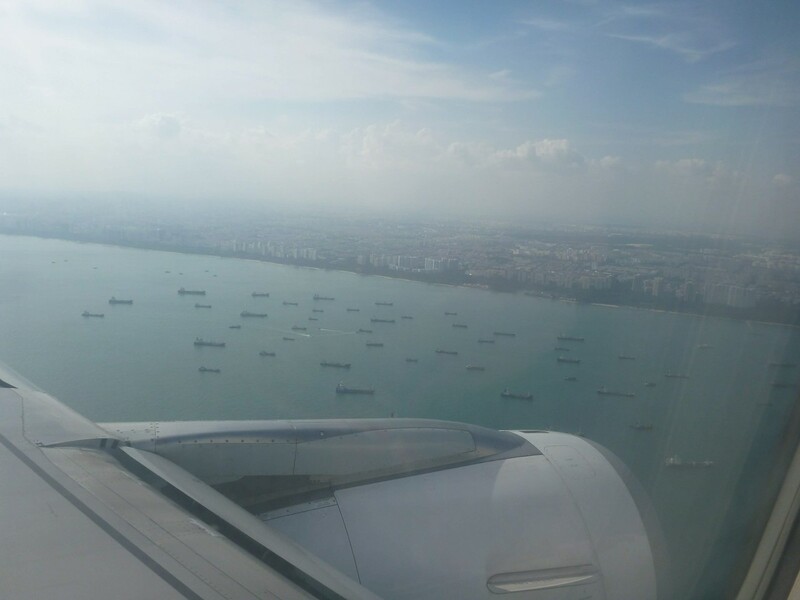 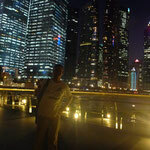 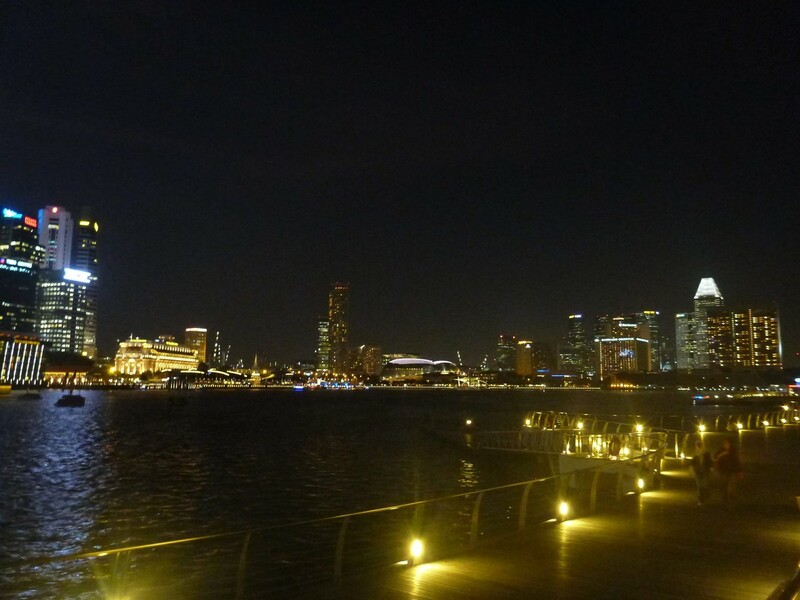 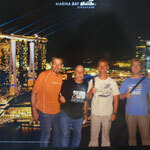 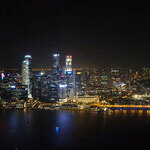 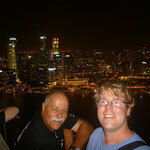 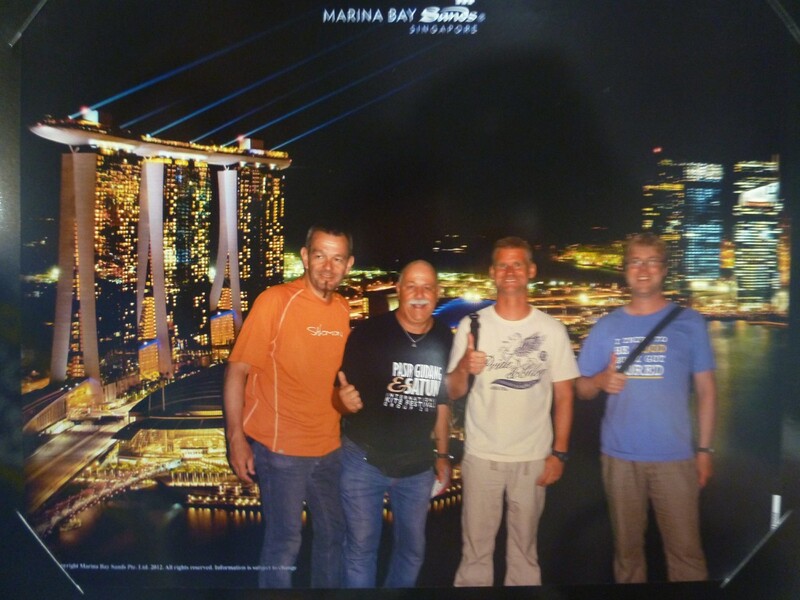 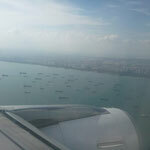 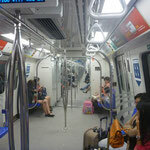 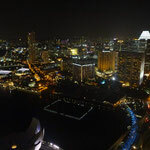 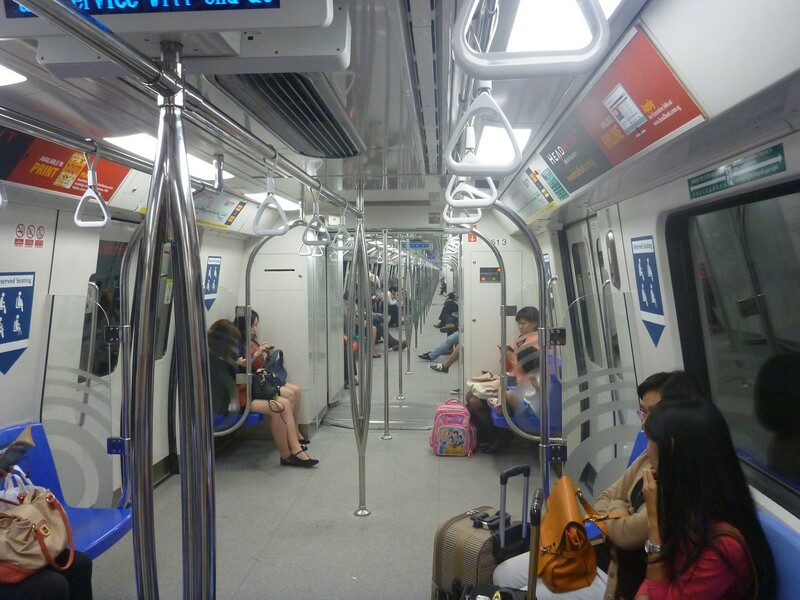 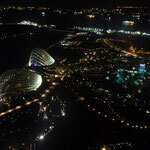 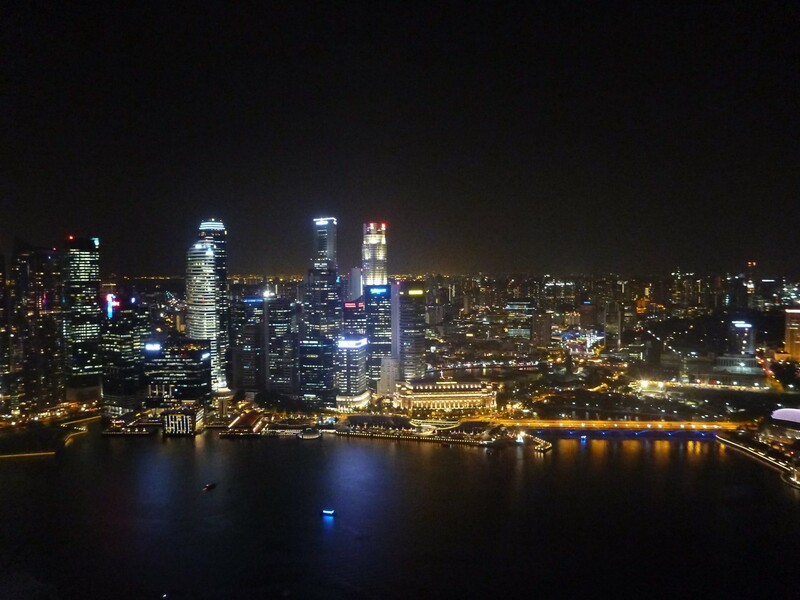 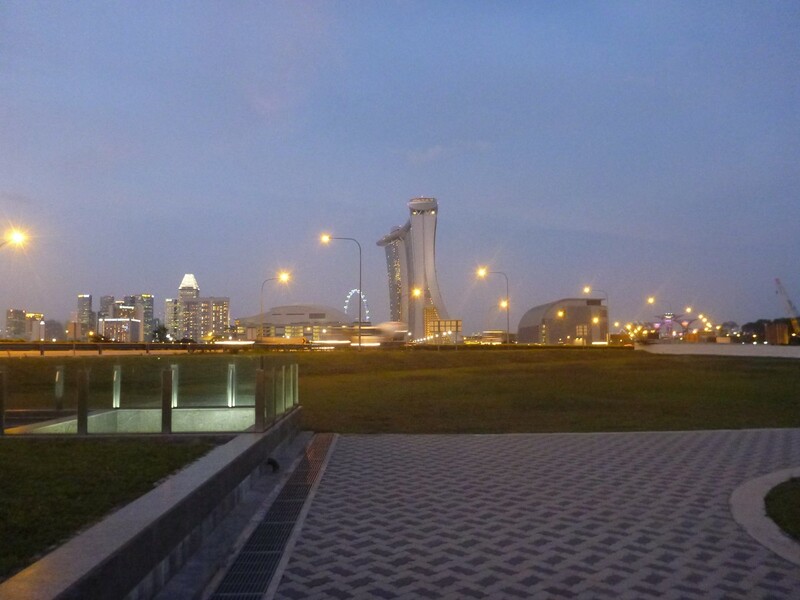 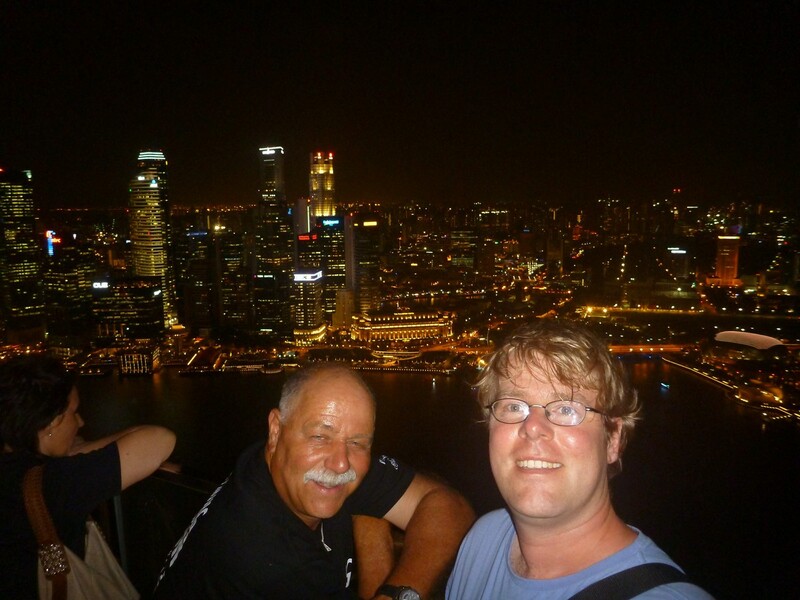 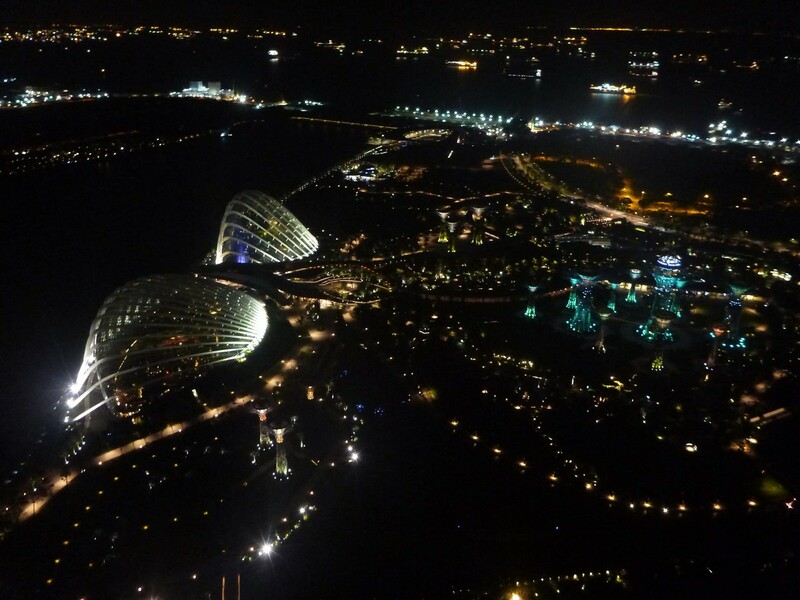 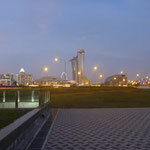 On monday, 4th, we went back via Singapore and had a short stop at the Skyparc of Marina Bay Sands. 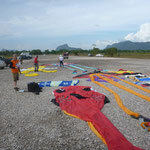 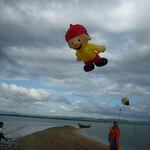 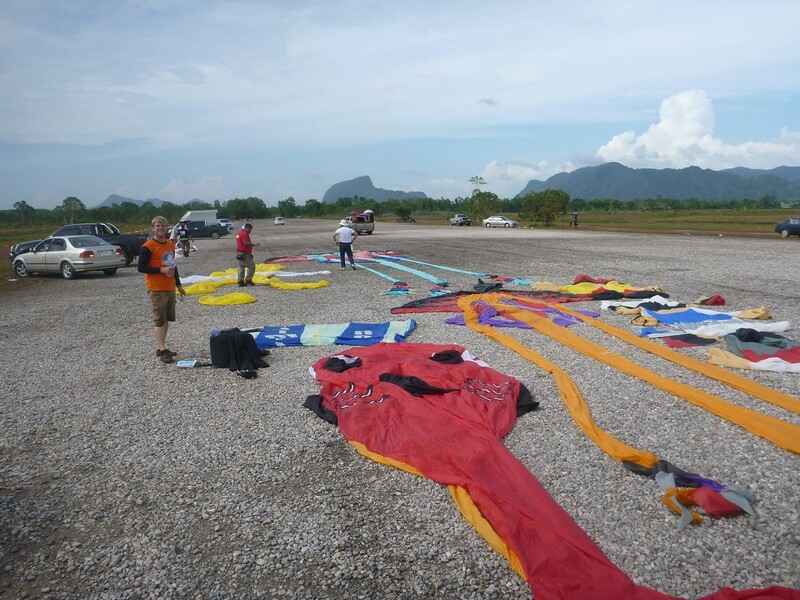 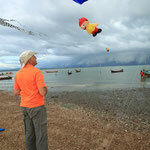 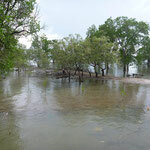 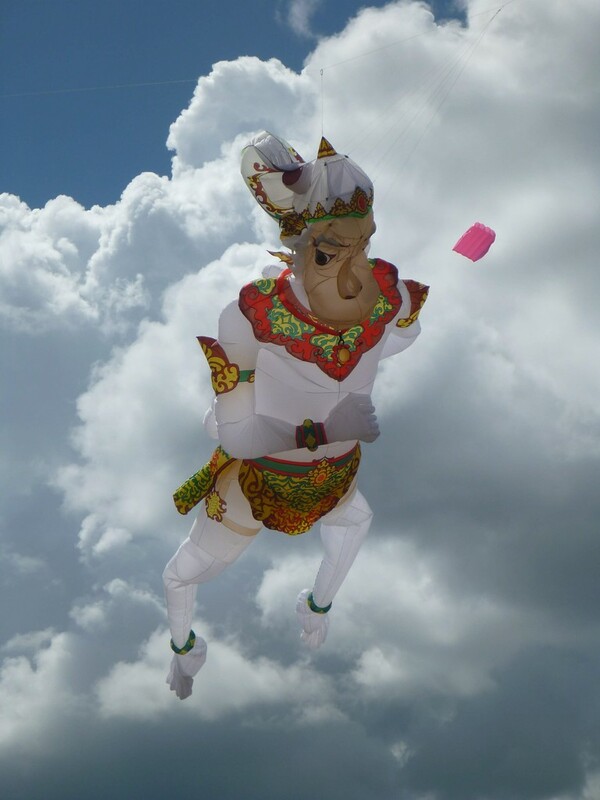 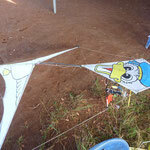 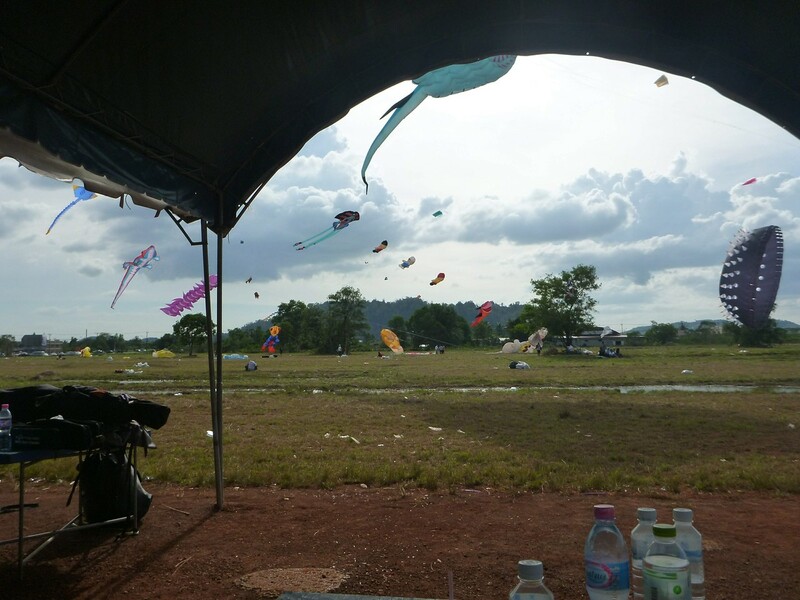 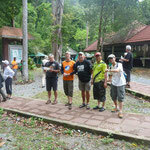 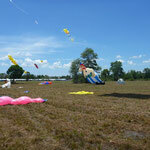 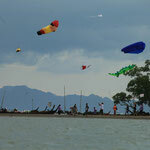 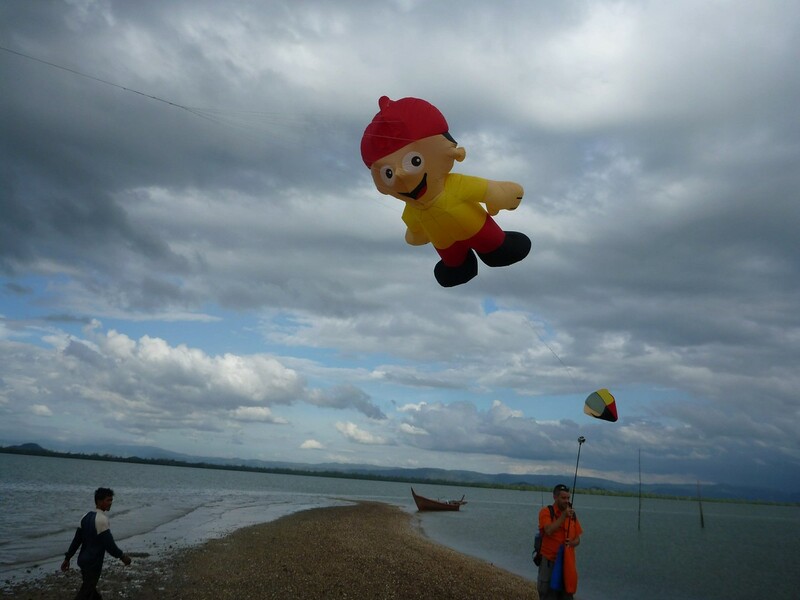 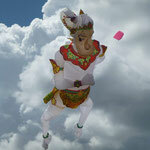 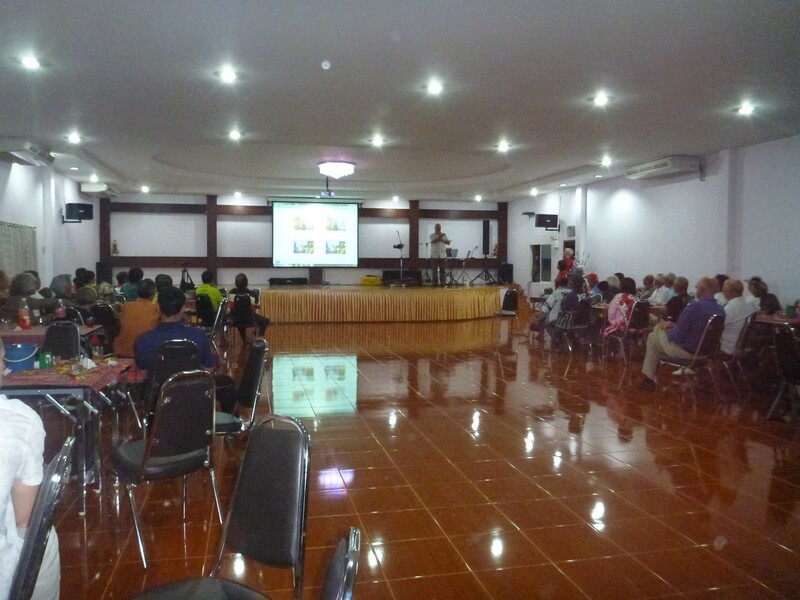 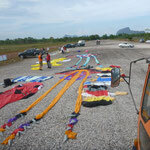 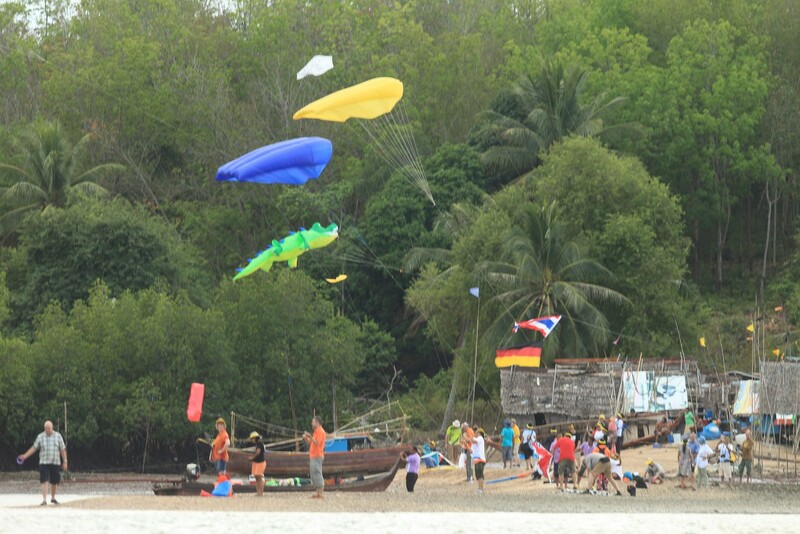 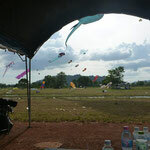 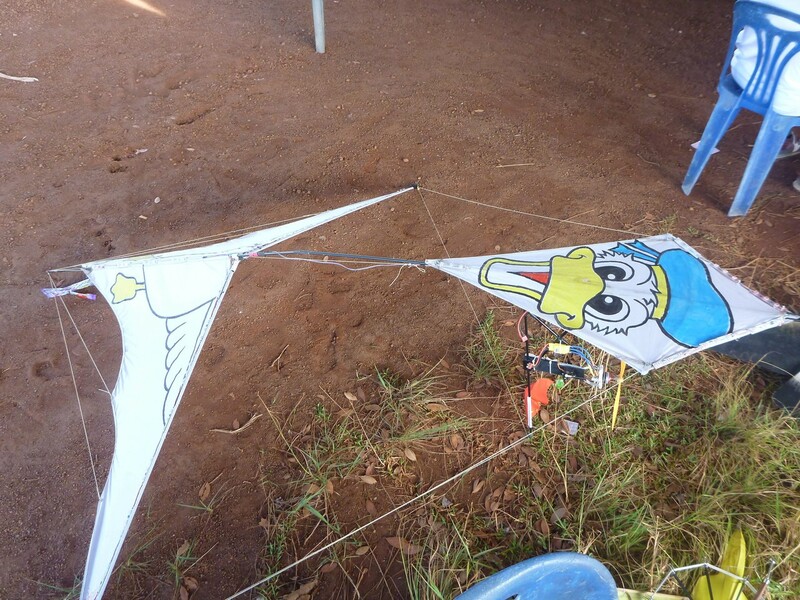 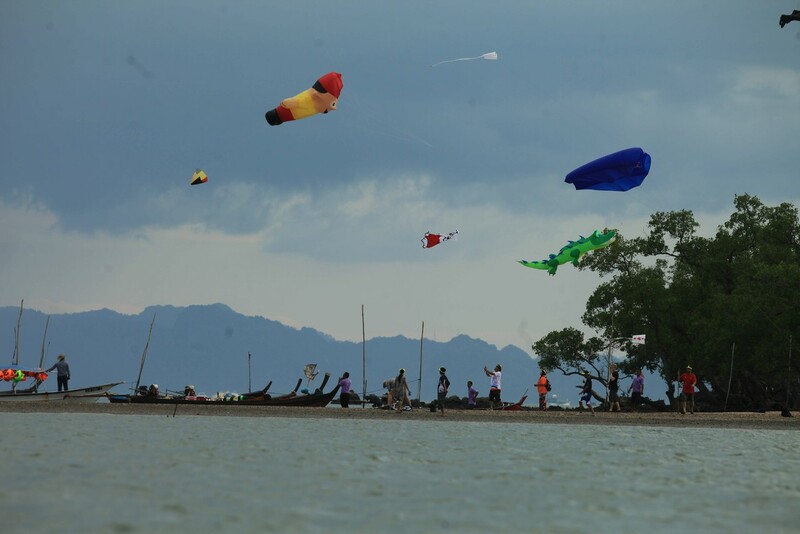 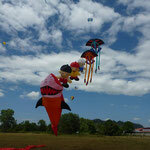 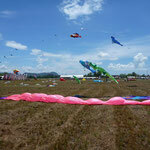 Satun was a really good start into the kite season 2013. 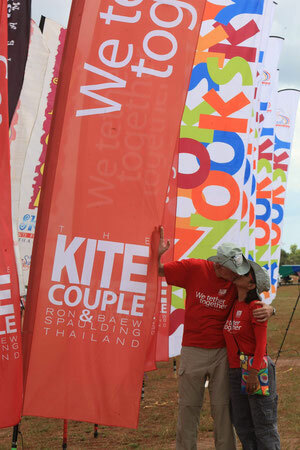 Thanks a lot to the Kite Couple Baew and Ron Spaulding !!! 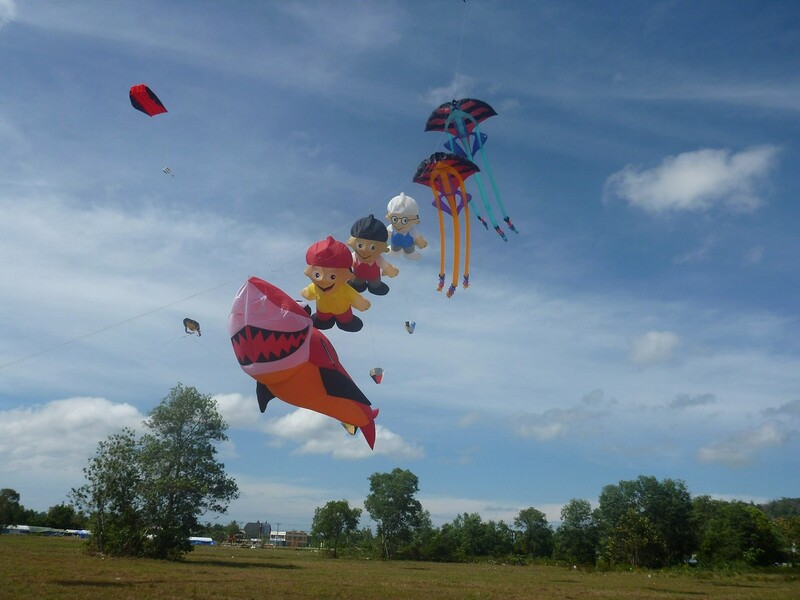 And the week before, we have been at the kite festival im Pasir Gudang. 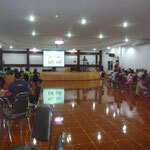 The report you will find here.